Christmas is around the corner, it is the end of the 2018. Bittersweet memories, which sometimes i have some time to sit down and look back at this year. 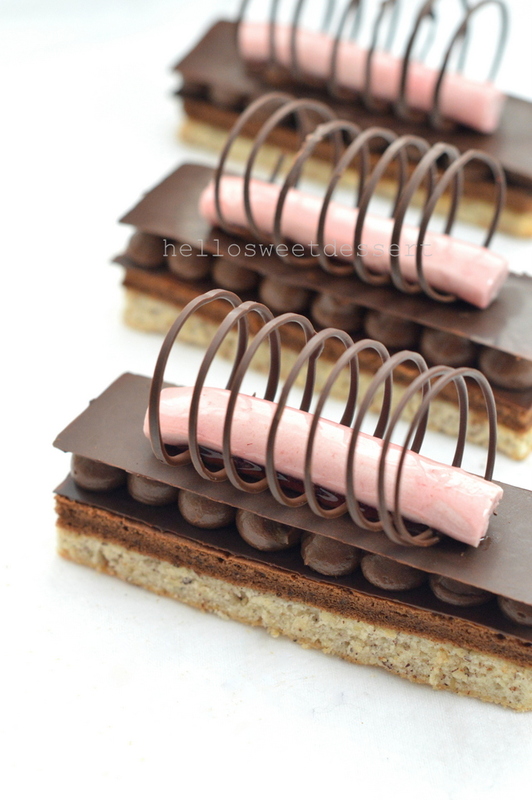 I used to bake so much macarons to conquer the fear of failing. 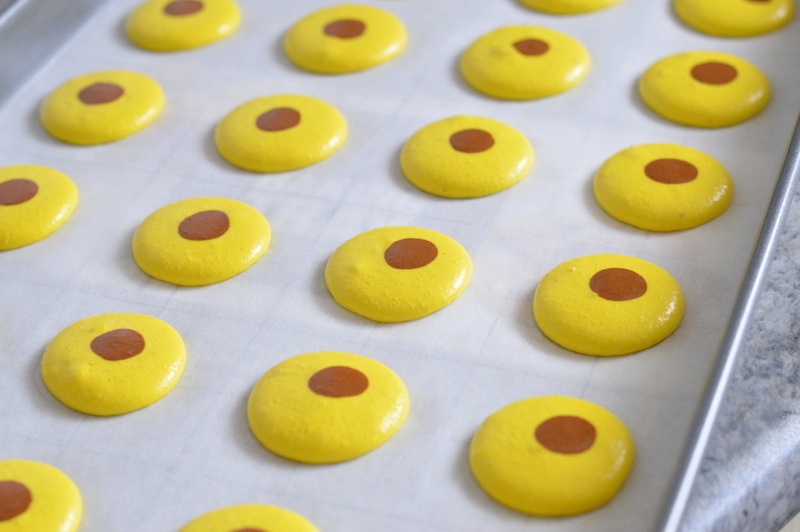 The temperature of the oven, the weather, humidity , the freshness of egg whites some said, the quality of the almond meal all play important rules in baking into perfect macarons. Sometimes a bad day in the kitchen also could cause your macarons to fail. 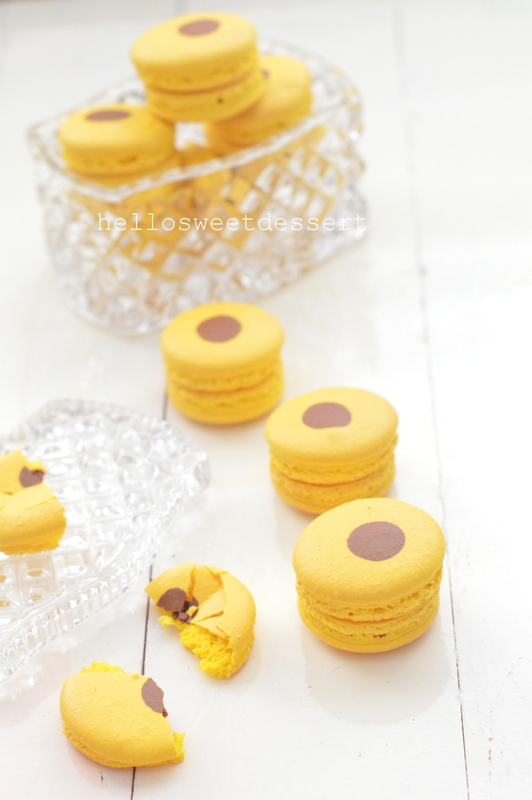 These little macarons can be tricky to bake .Many attempts are taken to get the right shells.There are so many excuses not to bake these, the sweetness of the macarons is the reason for most people might not consider having it. 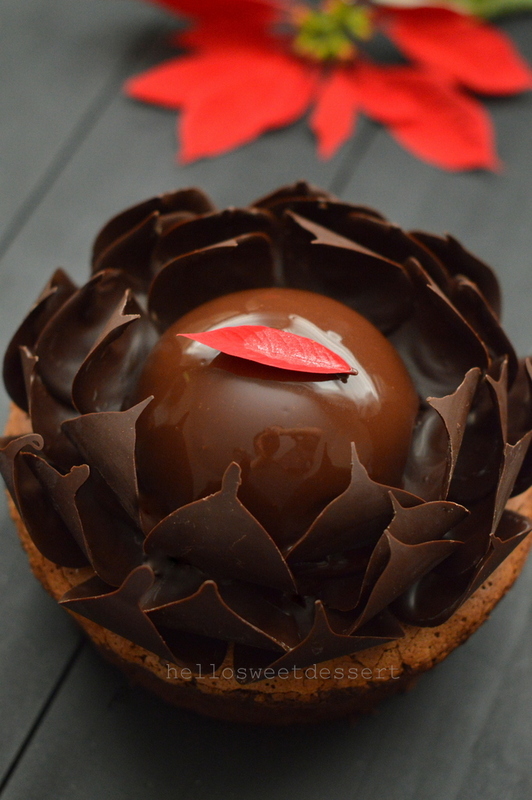 To me,if you conquer you fear and manage to get the right recipe which suits you, it will be a breeze to bake then enjoy it at last. 2)Italian meringue macaron: Italian meringue method is created by cooking sugar syrup(to 112C) then added into meringue and continued beating to firm peaks formed , finally folded into almond mixture. 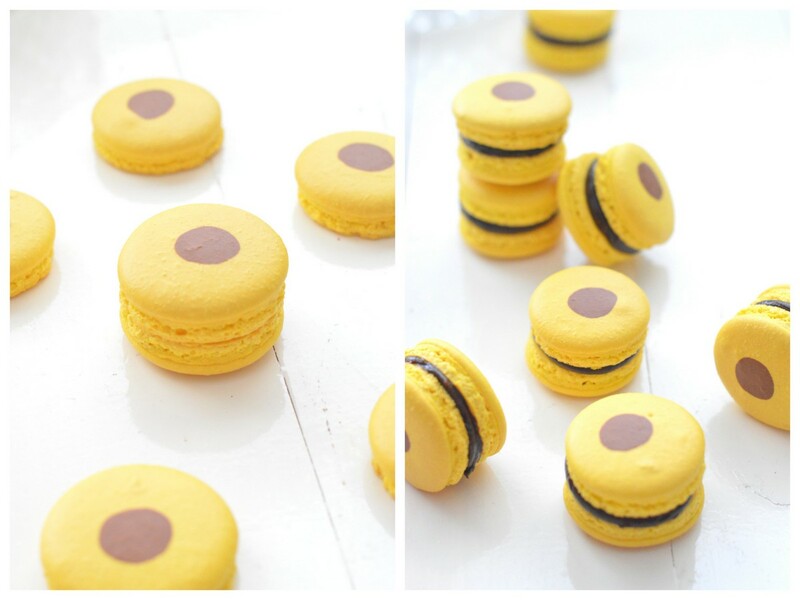 This macaron is easy to make with few little steps that I think it is easier to master. 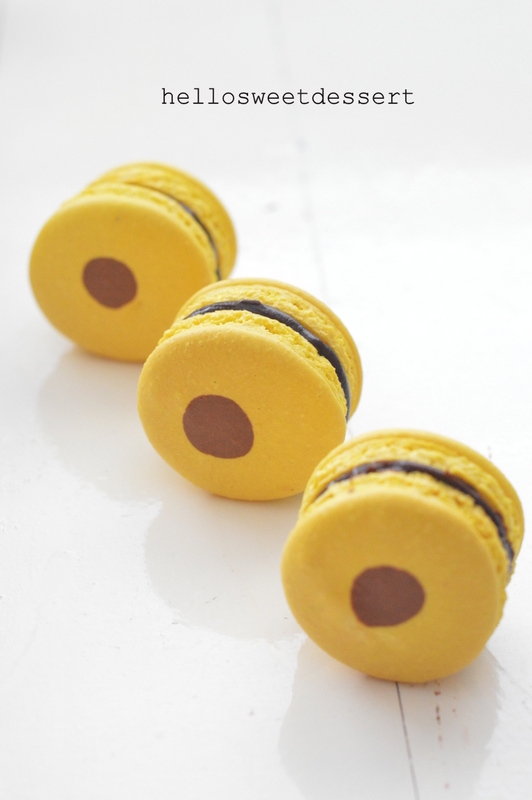 The ganache tastes of sourness from passionfruit combined with the dark chocolate, fill into french macaron. You just don’t find it too sweet.It is such lovely. 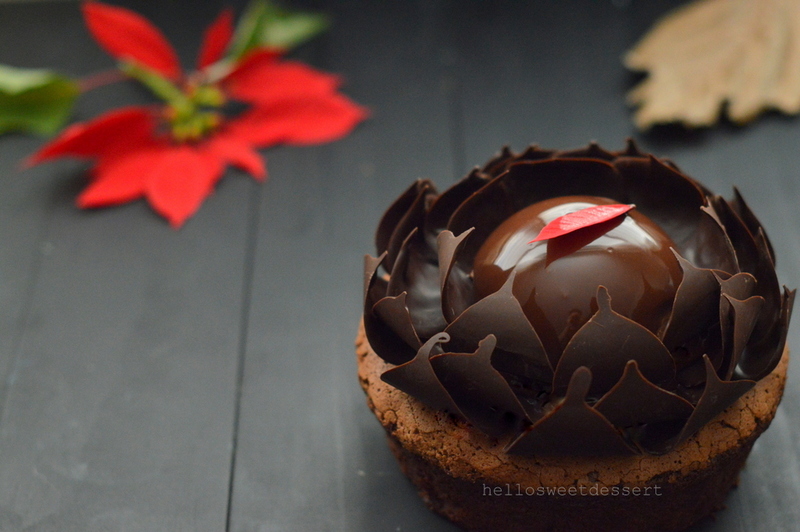 I think that this pretty little dessert is easy to enjoy during christmas party or even as a gift for friends. Hope you like this sharing too. 1)Take a piece of parchment paper and draw 1.5 inch (3.5 cm) circles, spacing the circles about 1 inch apart. 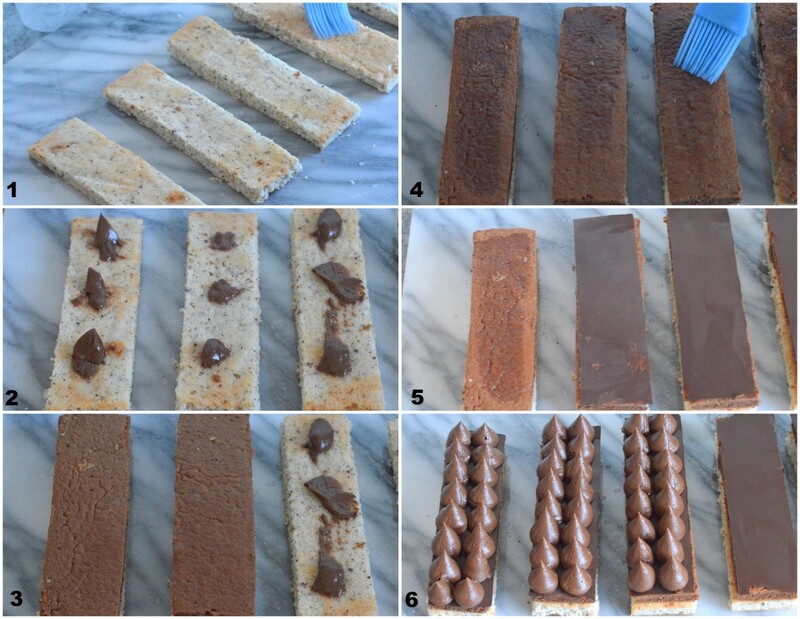 Invert the baking sheet and place on a baking tray. 2)Process almond powder and icing sugar together.Sift twice of the almond powder and icing sugar together in a mixing bowl. 3)In a clean bowl: Beat egg whites with almond powder until foamy, slowly add in castor sugar in 2 additions , continued beating to a Stiff peaks formed. 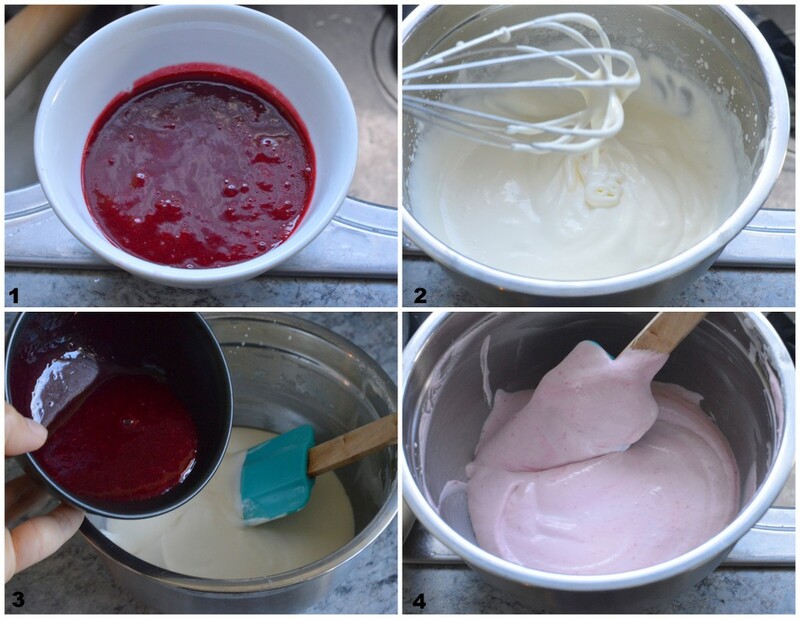 4)Add in yellow food gel colouring into meringue.Fold in the meringue into the almond mixture in 2 additions until a thick lava-like batter is achieved.Scoop out 1 tbsp batter and add in brown food gel colouring, mix well then pour into a piping bag.Snip off small hole from the piping bag. 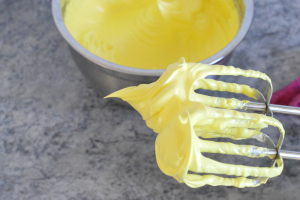 5)Fill a pastry bag, fitted with 1/2 inch (1 cm) nozzle with the yellow batter. Pipe about 3.5cm circle 1 inch apart onto the parchment paper, using the template as a guide(usually pipe slightly smaller than the actual template size as batter will slightly expand in size after you tap the baking tray on the counter). 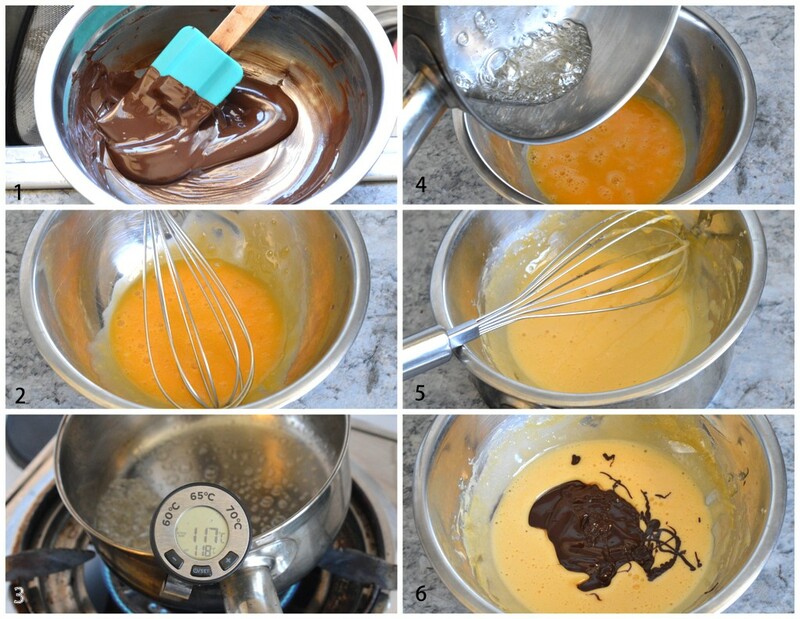 6)Pipe in small dollop of brown batter in the center of every yellow batter. 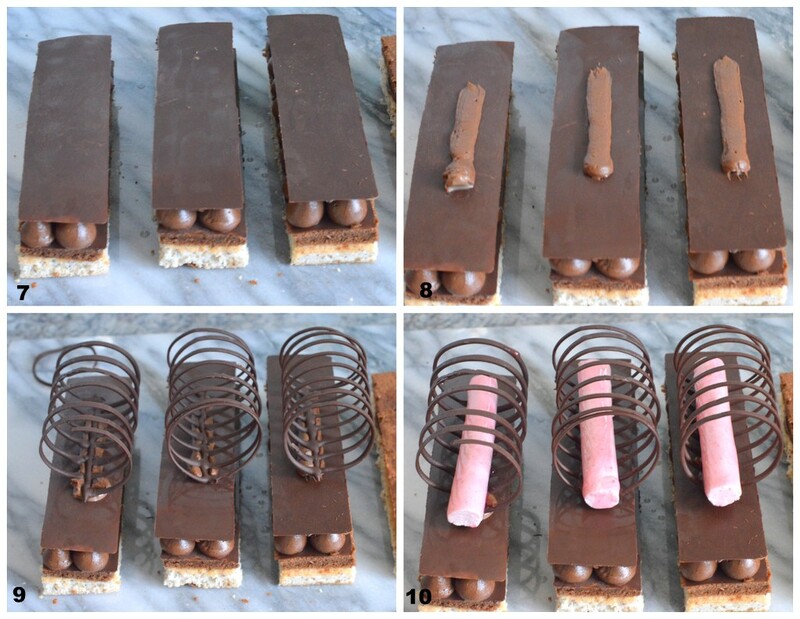 Then gently tap the baking sheet on the counter to break any air bubbles. 7)Rest macarons at room temperature for about 30-60 minutes or until the top of the macarons are no longer sticky to your finger when you touch. 8)Bake the macarons in a preheated oven of 160C for 16 minutes, depending on your individual oven,in the middle rack of your oven . About half way through baking, rotate your baking tray, front to back. If your oven is a way too hot like a furnace:Try bake your macaron on double trays(e) and bake your macaron at 160C until you begin to see your “feets” are formed on your macarons, remove the empty bottom tray immediately and reduce heat to 140C to finish off your baking. 8)Once baked, remove from oven, and allow to cool completely. Pipe in batter onto the prepared pan.Pipe in the brown batter in the center. Tap the pan.Rest. Bake. 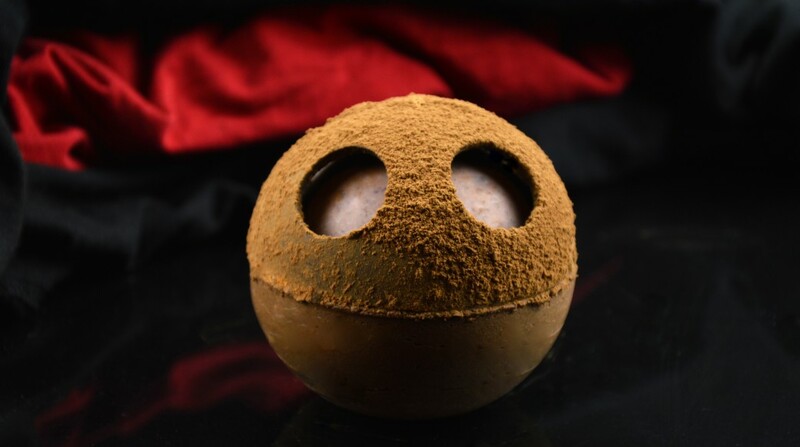 a)Process the almond powder until become powder form because you might find store bought almond powder, the granules are not powdery enough, some might be hard to sift through. Use processor to blitz almond and icing mixture for few seconds and then sift few times. 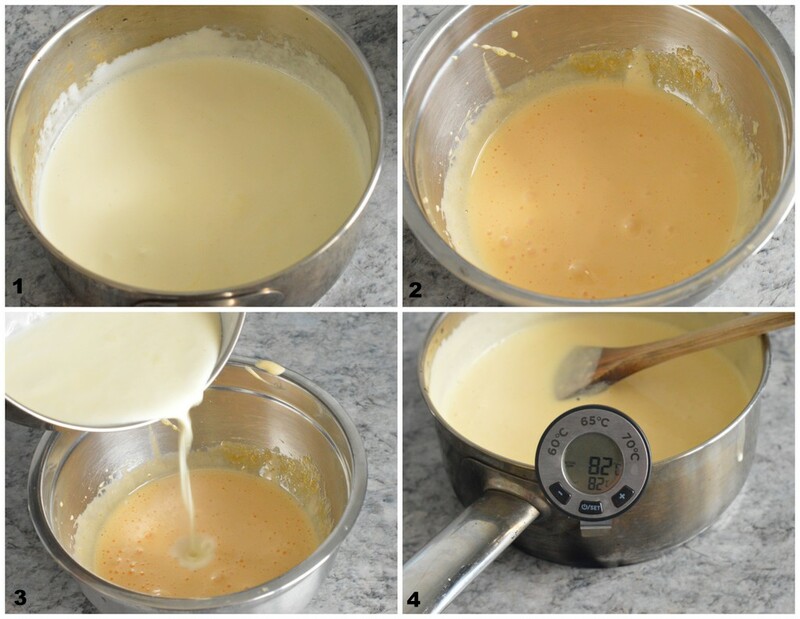 b) The correct consistency of the batter is: the batter falls back in the bowl in a visible ribbon and the ribbon disappears within 10 seconds.Remember under-mix or over-mix batter will not able to create nice macaron at the end. 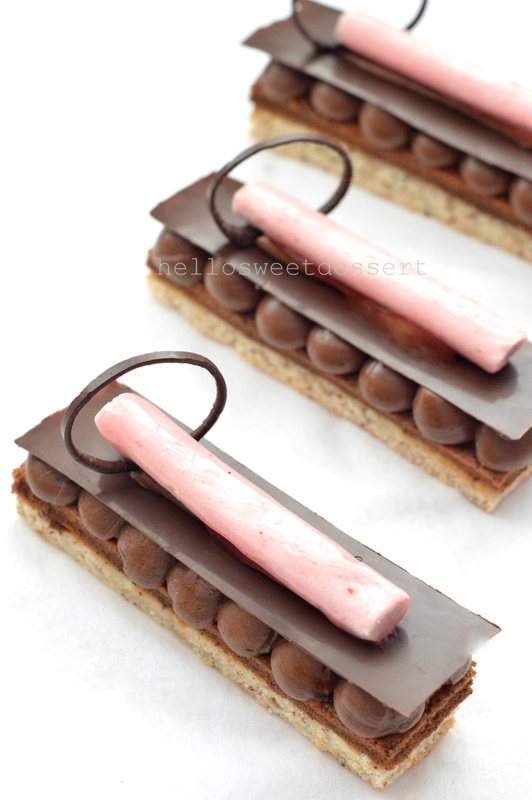 c) Release the air bubbles on the unbaked macarons with the end of a toothpick. d) Sometimes you might have to rest the macarons longer than the time required due to the humidity and temperature of your kitchen.Macaron tends to crack on the surface while baking if not rest enough.When heat is applied, egg whites coagulates and forces the surface to crack due to insufficient dry top shells. e)What is Double trays?Place the tray with macaron batter onto another empty tray.Reason to prevent excessive high heat from the bottom of the batter(egg whites coagulates and expands too quickly) to crack your surface of your macarons. e)To see if macaron is baked properly:Once baked, try lifting the macaron slowly, if easily lift off clean without sticking to pan, showing it is baked properly.If not, continue baking for few more minutes. 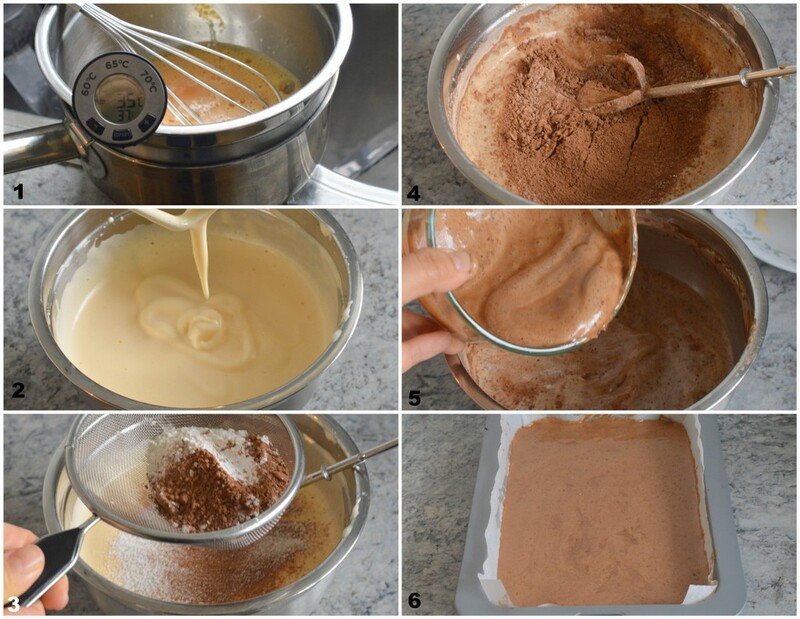 Ensure almond powder and icing sugar have to be sifted for few times to get smooth macaron shells. Ensure eggs are in room temperature, uncovered for few 2 hours or more. If you are in hurry, take your cold eggs from refrigerator,crack into a bowl and cover with lid, and warm it up by placing into a bowl of warm water(not too hot otherwise cook your egg whites). Allow to sit for 30 minutes. Cold eggs tend to create more air pockets in the meringue while beating, we do not want this for macaron as we try to deflate the air pockets while folding with almond mixture. Too much air pockets in the meringue can somehow crack your macaron shells when heat is applied due to coagulation of protein from the egg whites.Sometimes too much air pockets create excessive “feets” that are not appealing. Do not open your oven door too early otherwise the macaron shells might collapse when drastic change of heat . You are allowed to open the oven door once while you rotate your baking tray half way baking macarons. The reason to rotate your pan half way baking to ensure the macaron creates even “feets”. 1)Scoop out the flesh from passionfruit, strain it to get the juice and discard the seeds.Bring the passionfruit puree to boil. 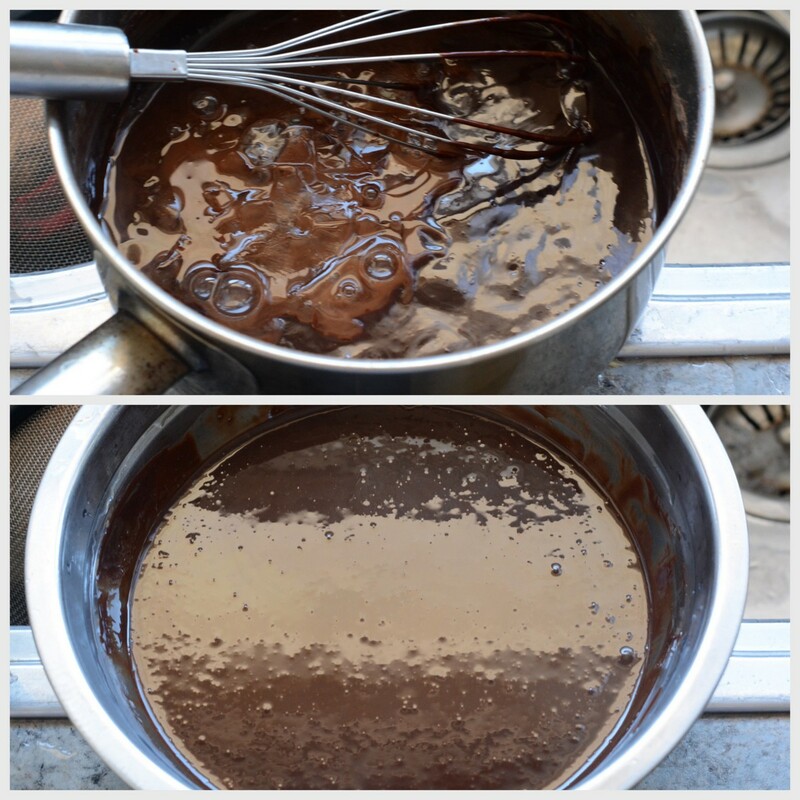 2)Melt the dark chocolate over double boiler until fully melt. 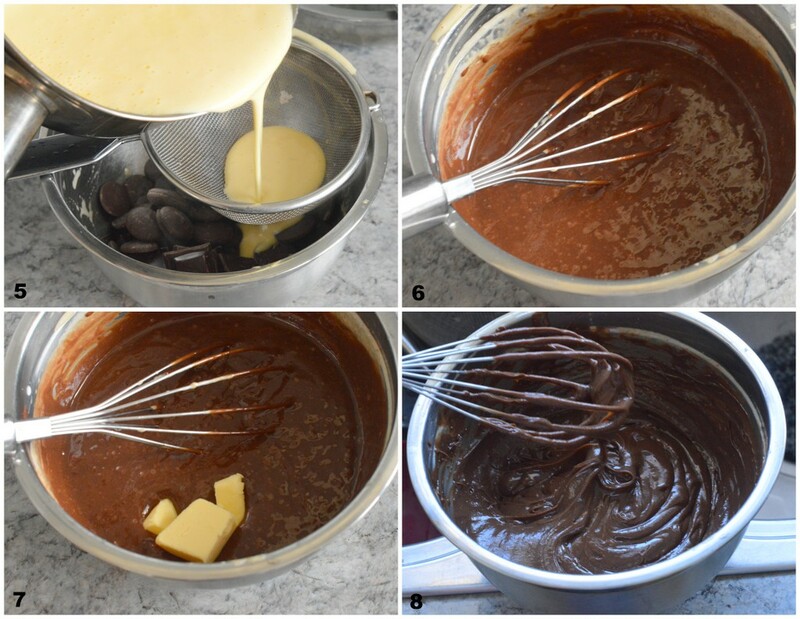 3)Pour the puree over melted chocolate and mix until well combined. 4)Add in butter until fully incorporated. 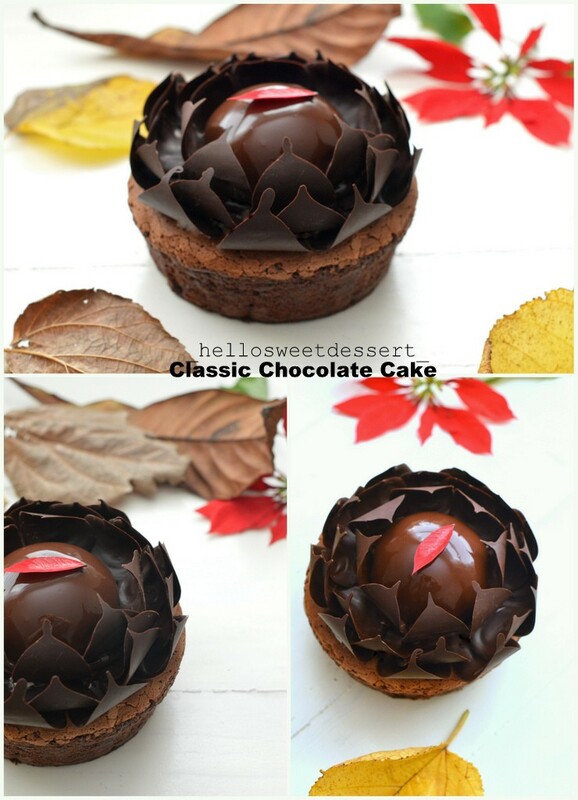 5)Leave to room temperature for 2-3 hours to cool or cool down in refrigerator to piping consistency for later use. 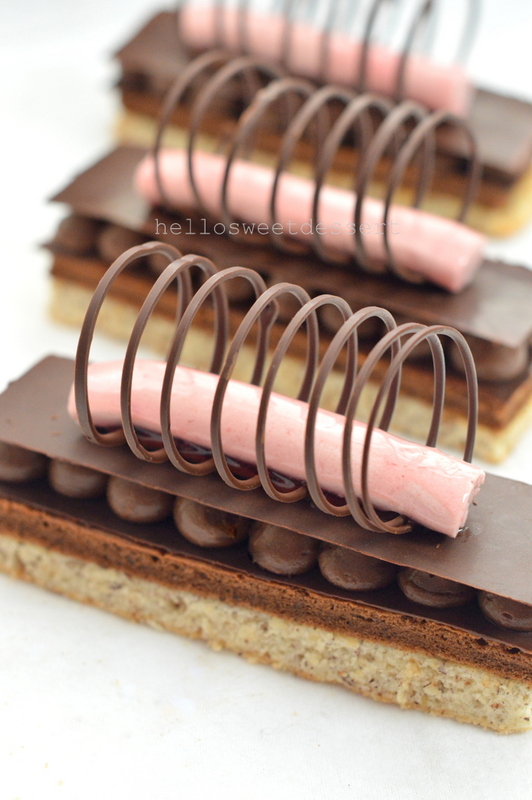 6)Once the ganache is set , pipe in the ganache onto macaron shells and sandwich it. 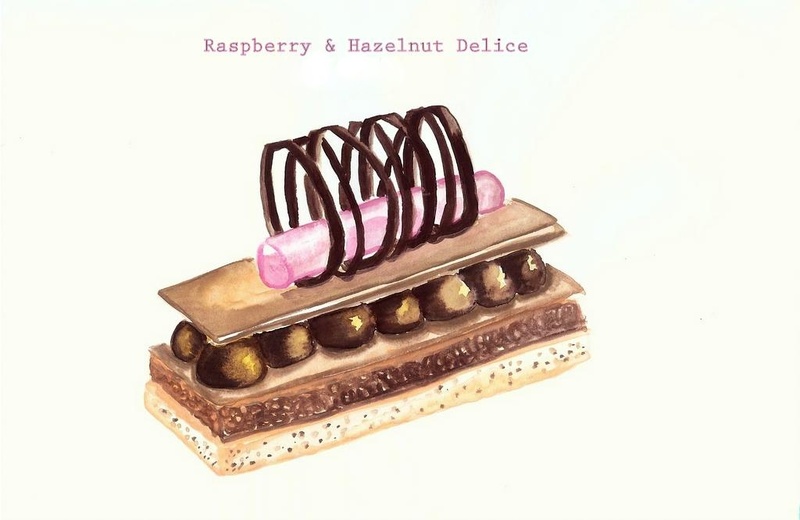 7))It is best to serve after sit in the fridge inside air tight container for a day until the macarons turn slightly moistened by the ganache. 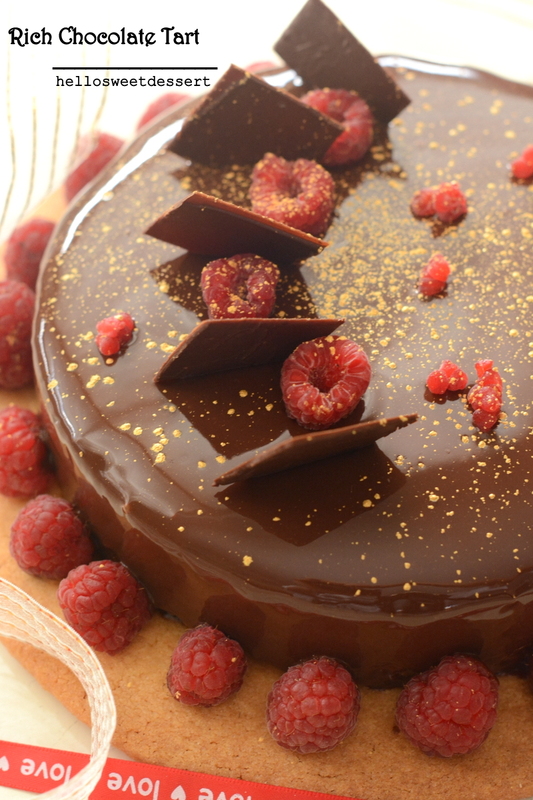 Ideally, ganache can be used immediately. 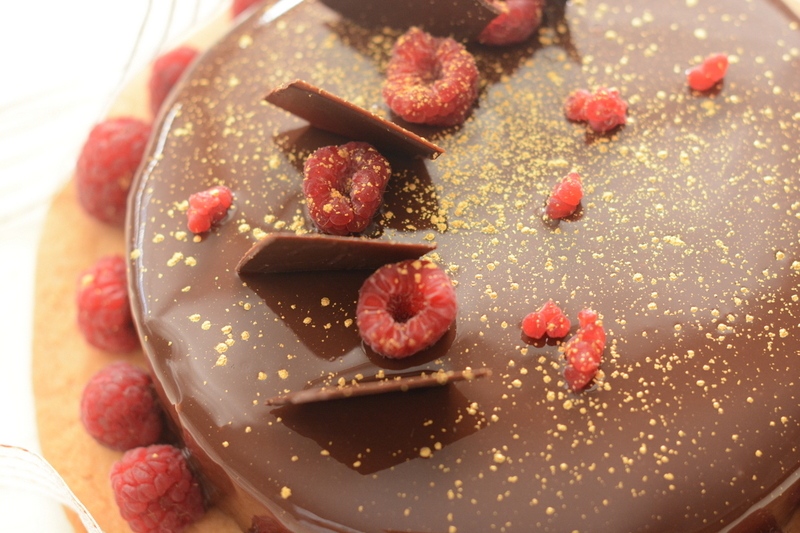 Once it starts to set, the ganache can be stored in the fridge for 2 day.Return it to room temperature before using. • Unfilled macarons: can be stored in an airtight container for 3-5 days.Empty macaron shells can be stored in the air tight container in the freezer up to 3 months. • Filled macarons: keep them in an airtight container inside the fridge and they taste the best up to 3 days and after that taste little crumbly. Bring to room temperature before eating them. 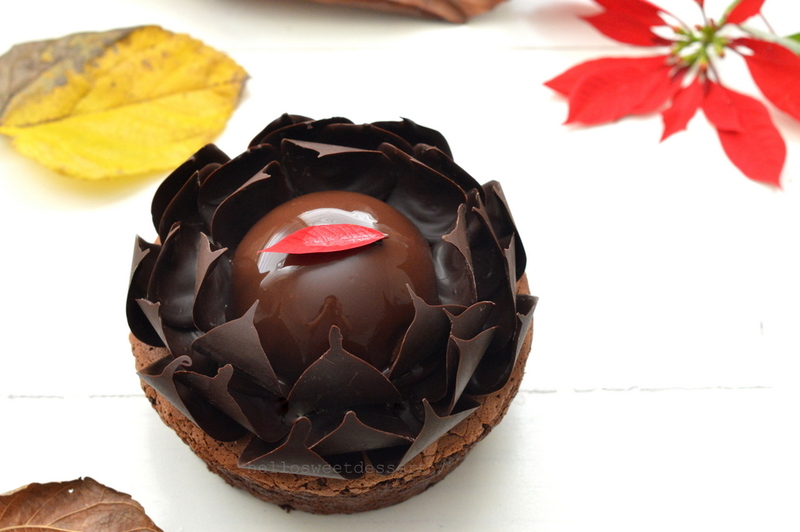 They are even tastier 1-2 days after having been made!It is also possible to freeze them once they are filled.Filled macaron can be kept in the air tight container in the freezer also up to a month.Remember to defrose about 20-30 minutes before serving. 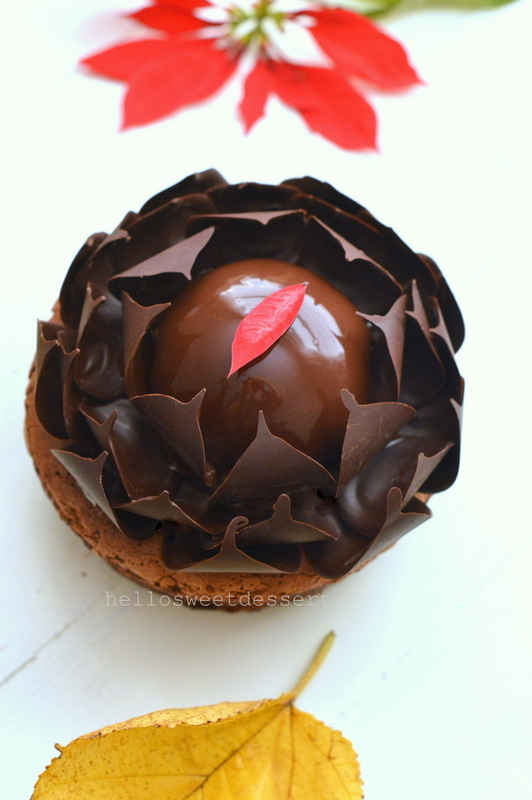 Problem in forming skin for macaron? There are time when your macaron just cannot form the skin even how long you have waited. Due to the humidity and temperature of your kitchen play an important rule on this issue. Winter or rainy day is definitely the weather you are trying to avoid. Of course there are cases that macarons are still manage to form the desire skin in these undesirable weather, depending on your luck perhaps? Put the unbaked macarons into oven, switch off the heat immediately. Leave the door ajar(put glove in between your oven door to create a gap for hot air to release) , for 6 minutes. Touch the macaron if the skin is formed. 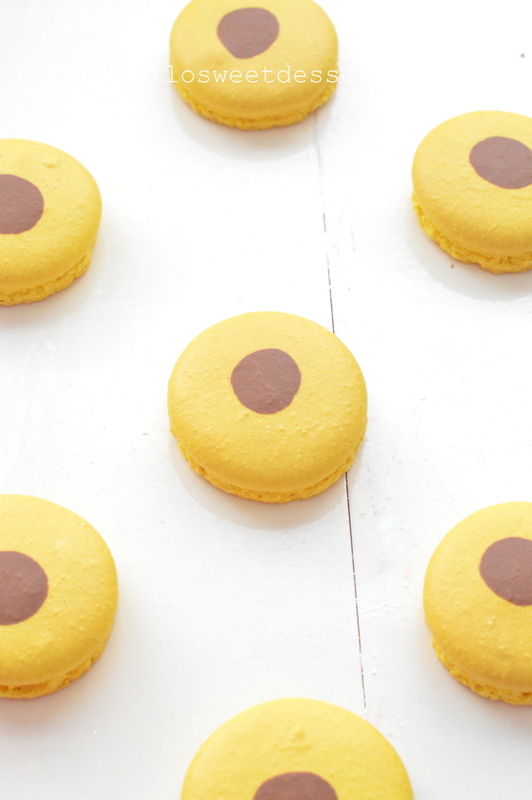 Once skin is formed, turn on the heat to the right temperature,let say 160C, and start baking your macaron. 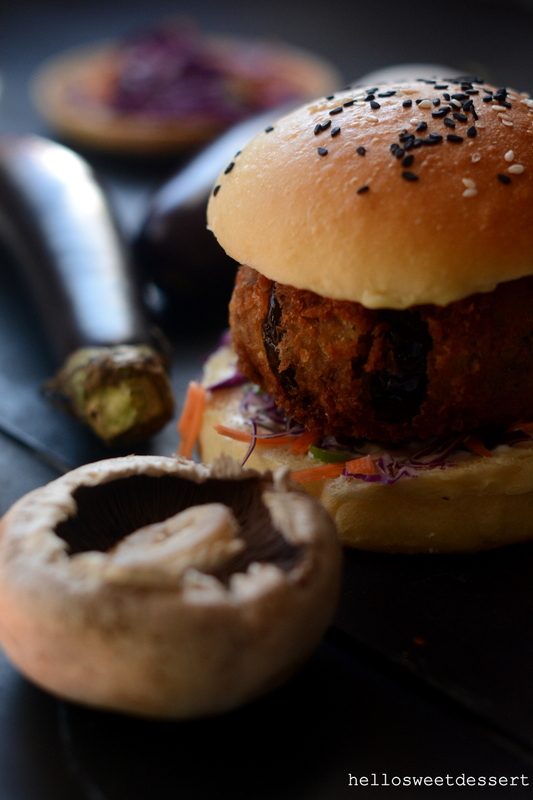 I tasted these amazing eggplant mushroom vegetarian burger with brioche bun in one of the local bakery in the morning.It is located in the city , and we had to travel to city to dine in.I forgot the cafe name but the burger is amazing even eating cold, Both husband I tasted it and wondered how to replicate it. 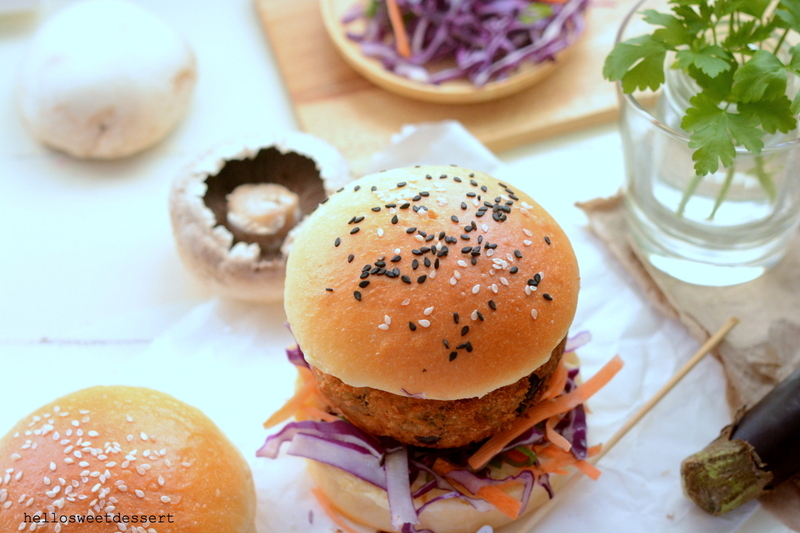 I hope you can also try vegetarian burger with different flavour. 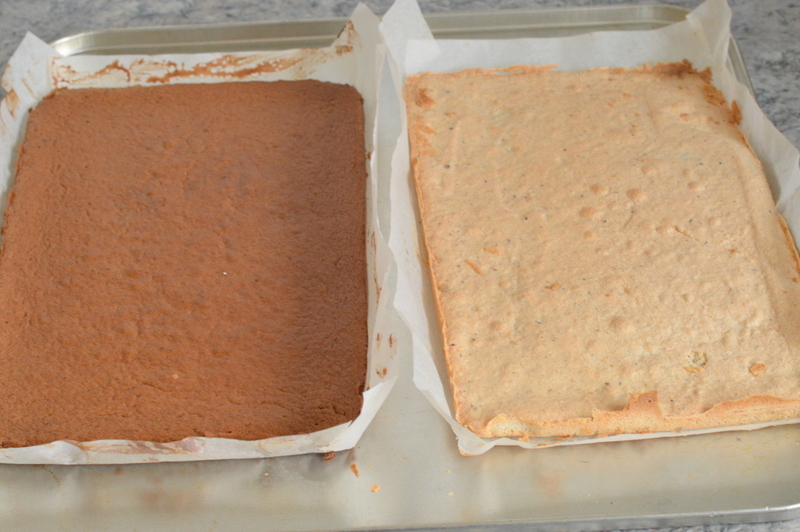 Lined a baking tray with parchment paper, preheat oven to 200-230C(depending on individual oven). 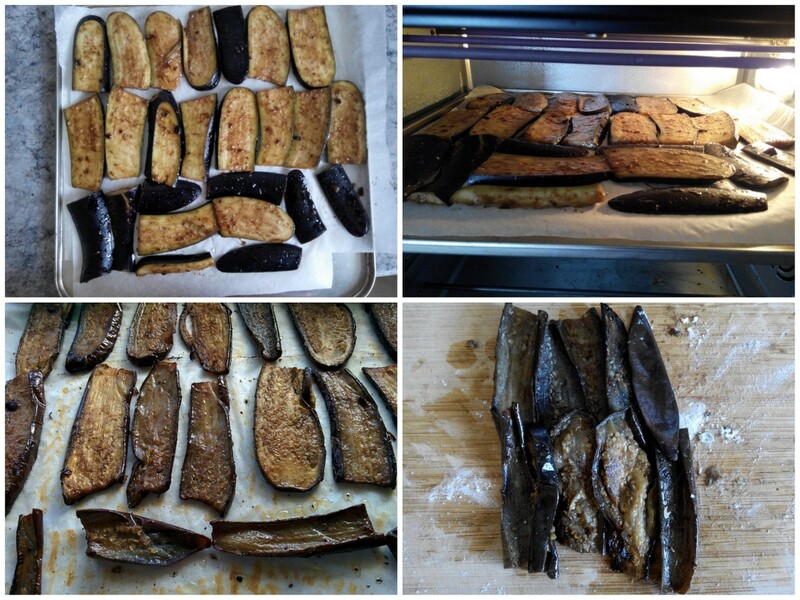 Marinade egg plant sliced with soybean paste, sugar and 1 tbsp cooking oil to well coated. Arranged every slice eggplant onto prepared baking tray, and bake at top oven rack for 30 minutes until slightly charred and cooked through. Remember to flip all eggplant sliced half way cooking for achieving both side charred. Remove the grilled eggplant from oven to allow to cool down, then store in refrigerator for an hour. 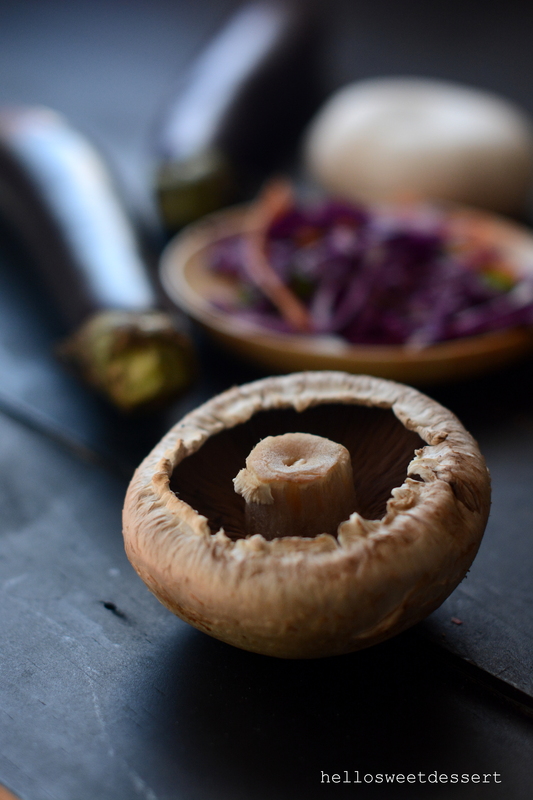 In a non-stick saucepan:Heat 1 tbsp cooking oil, saute the chopped onion until soften, then add in the mushroom. Saute until cooked, season with salt and pepper to your taste. Transfer to a clean plate, allow to cool down fully.Then store in refrigerator for an hour . 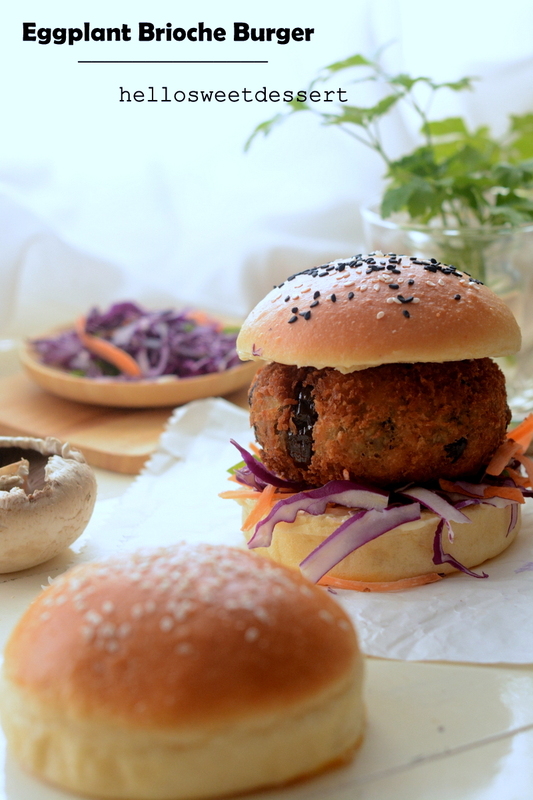 Take out the cooled mushroom, take a small handful of mushroom, hold tight in our palm to squeeze out extra juices to form a patty shape. On other side, on your chopping board, arranged cooked eggplant in a particular order like shown in the picture. 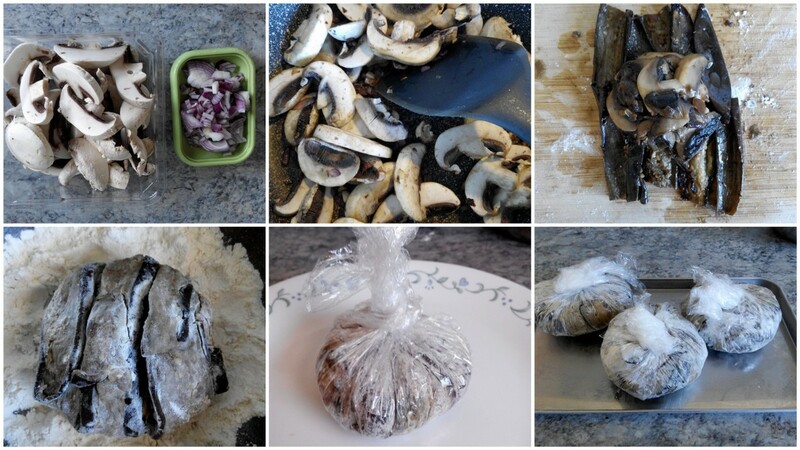 Placed the mushroom patty onto the eggplant, and fold the eggplant to cover all the mushroom. Gently hold the egg plant patty on your both palms and shape into a nice patty shape, and coat entire patty with enough plain flour. Wrap with cling film and secure it tightly. Repeat step 4 and 5 for the rest of the patties. You will get 4 patties altogether. Allow to chill in freezer for 1-2 hours until hardened. Remove the hardened patties from freezer and unwrap altogether. Coat each patties with beaten egg, then with the japanese breadcrumb. 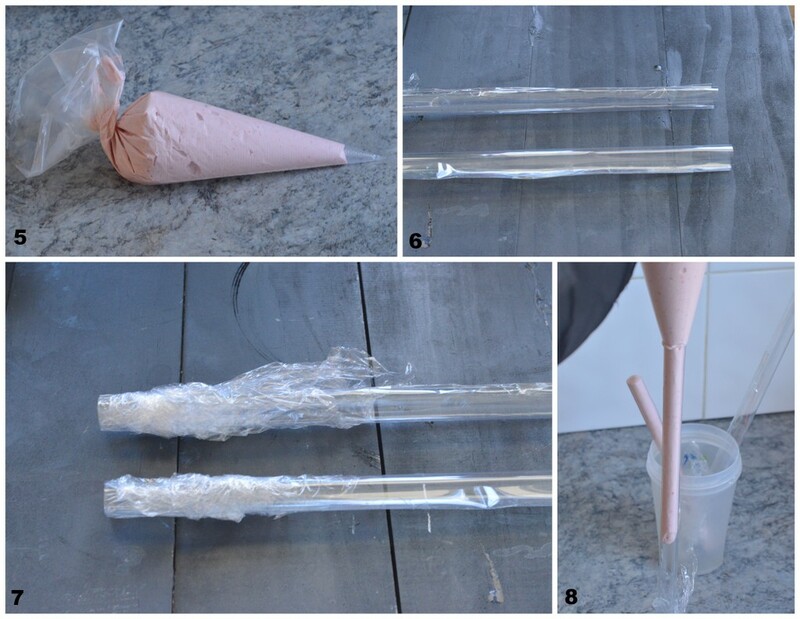 You can repeat this coating process once again,(it is called double coatings). 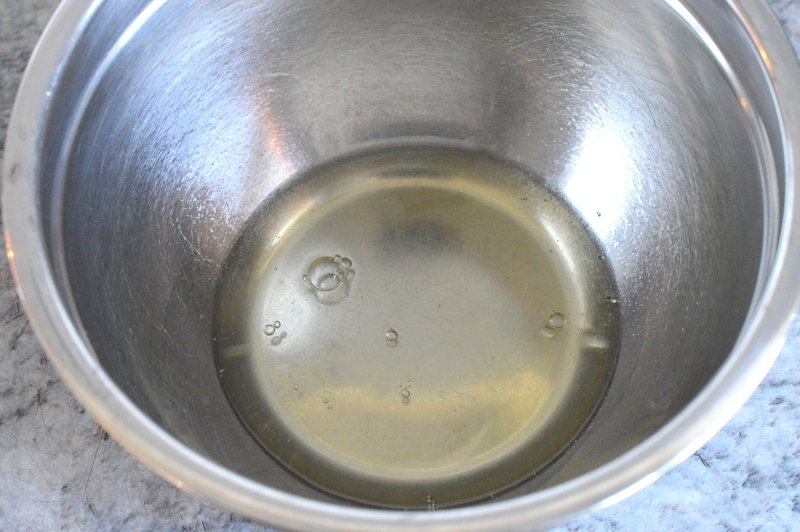 Heat enough oil in a saucepan: deep fry all the patties to golden brown. 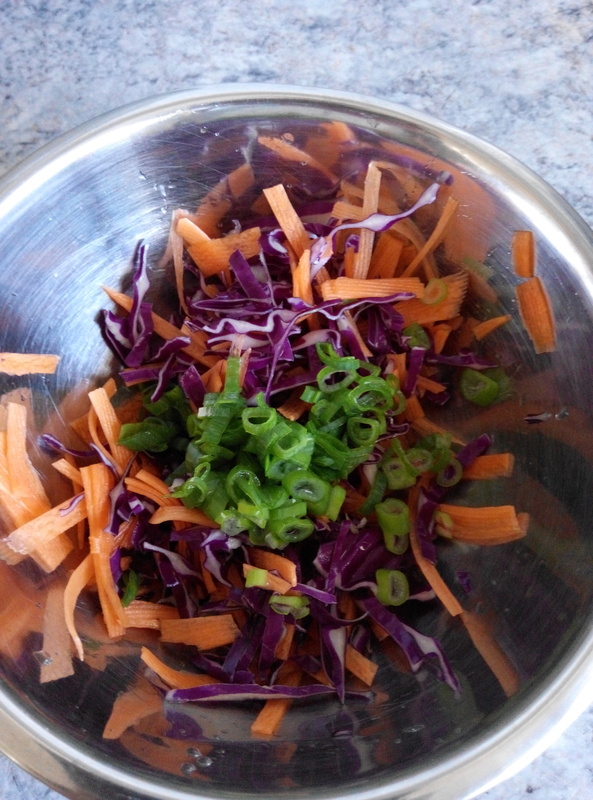 Wash all vegetables, pat dry and finely sliced. 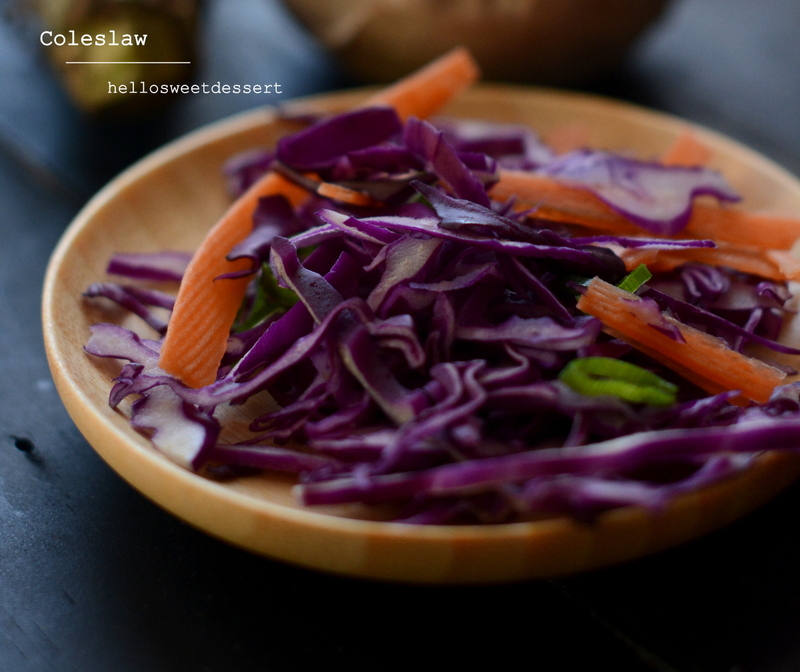 Mix with japanese mayonnaise into mix vegetables. Set into refrigerator for later use. Halved your brioche burger, spread with more mayonnaise on both sides. 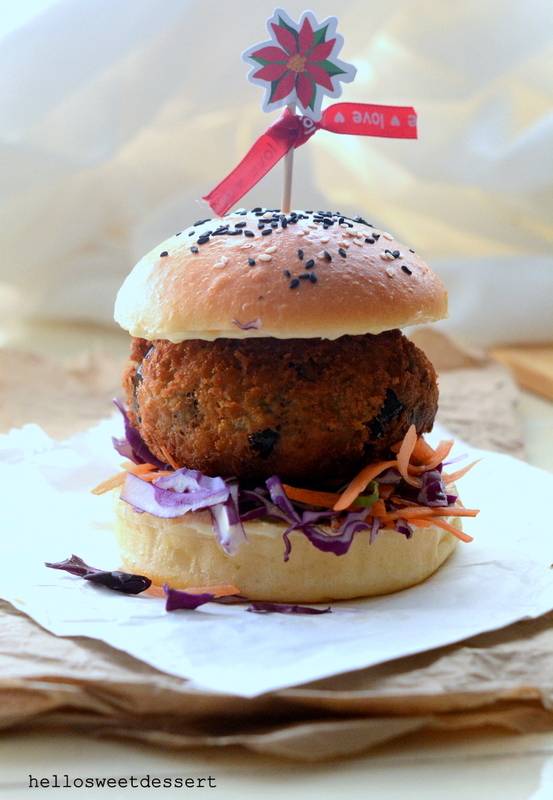 Layer with coleslaw, then top up with your homemade eggplant mushroom patty. You can add your favourite sweet chillies sauce if you want. You can serve it freshly prepared or chill in refrigerator to serve cold. You can use other types of eggplant such as the classic and regular eggplant also named as Black Beauty or black bell pepper. I am using chinese eggplant that is longer and cylindrical in shape. 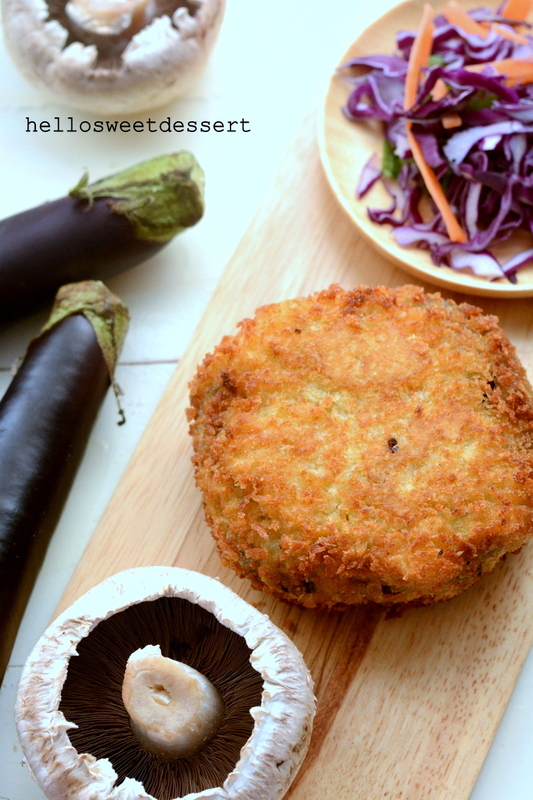 The reason to freeze your eggplant patties before final coating because the patties are so soft with the mushroom and eggplant, secondly there is no other ingredients act as adhesive agent such as potato mash. So we need to make sure it is hardened in freezer for easier coating and deep frying. This meat-free vegetarian burger supposed to serve as cold sandwich, but if you preferred crunchy patties and super soft brioche, slightly toast your brioche burger on hot pan for just less than 30 seconds on medium-high heat,otherwise might burn your brioche due to the high content of milk and eggs used in this recipe. The bread is super soft after toast, so be gentle when handling brioche burger in hot pan. you can use any favourite vegetables such as lettuce, tomato, cucumber or even beetroot slice for the burger. Thanks for visiting and your comments are greatly appreciated. 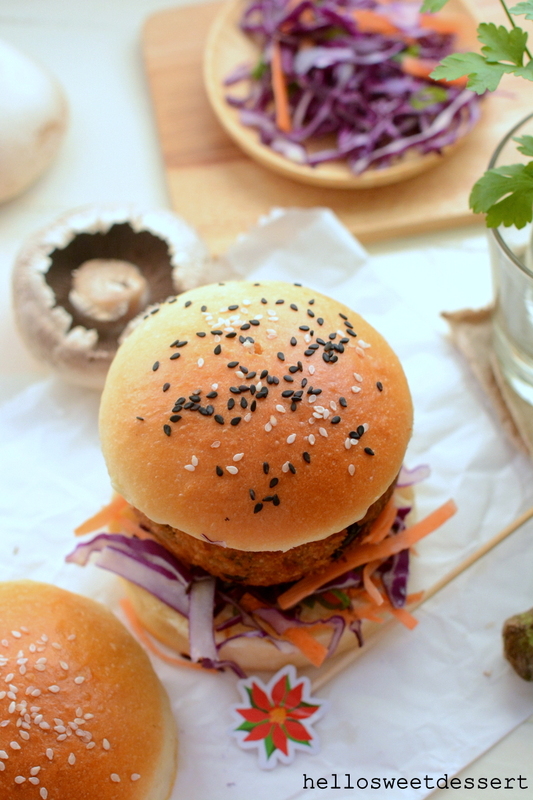 Hope you like this vegetables burger. 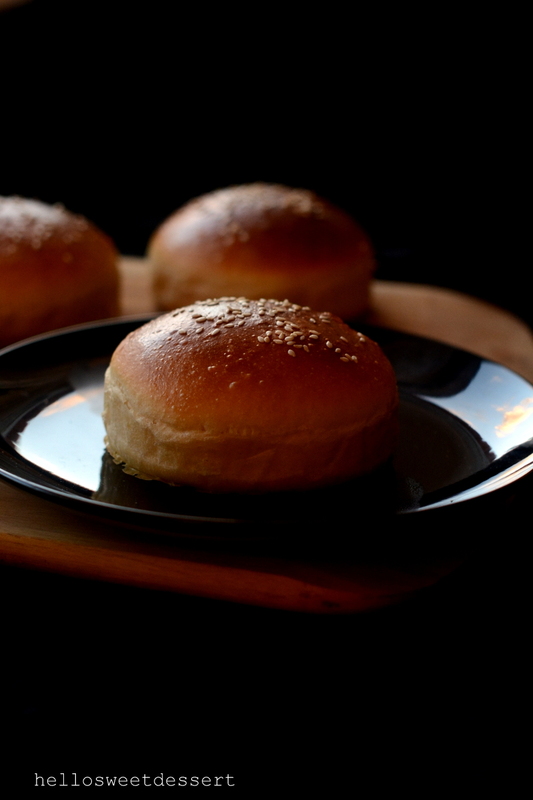 These brioche dough that can turn into burger shape and sandwiched with our favourite fillings or patties, of any kinds. 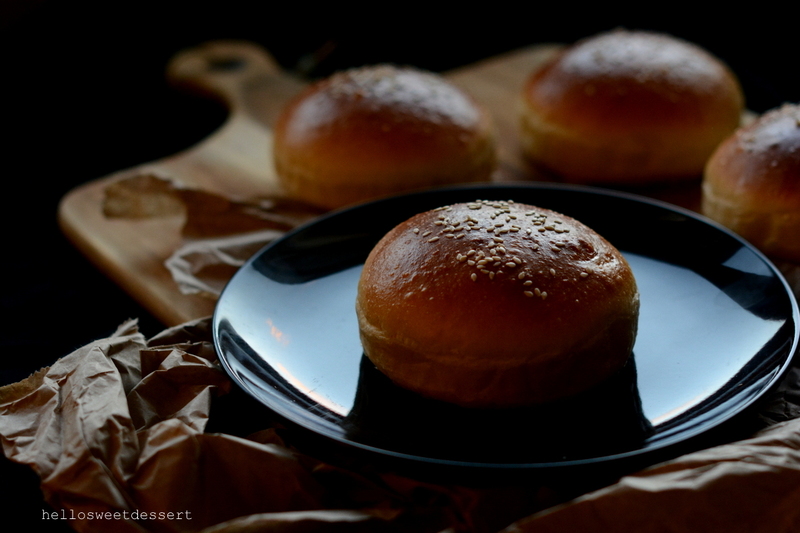 Brioche buns are in high content of fat, eggs and milk compare to normal burger buns you made, but brioche buns are much fragrant once you pan fry without any oil on the saucepan. 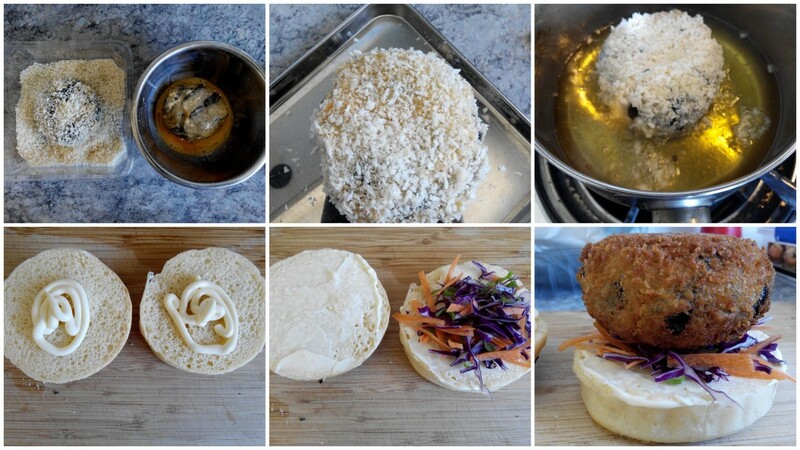 Instead of spending money to buy burger bun ring, you can DIY, do it yourself with just few tools, and you can make many burger bun out of the few equipments. 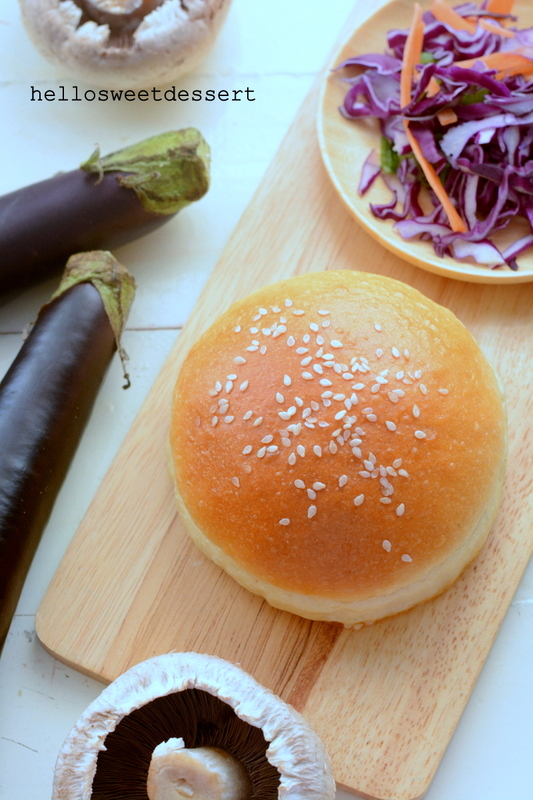 Let’s try out the recipe and how to make the burger ring molds and bun. Combine eggs and milk together. Set aside for later use. Combine eggs,castor sugar, milk and dry yeast into a mixing bowl.By using a dough hook, mix these ingredients on low speed until sugar has dissolved. Remember to scrape down the sides of the bowl. Add in bread flour and salt in 2 additions at low speed until all well combined. 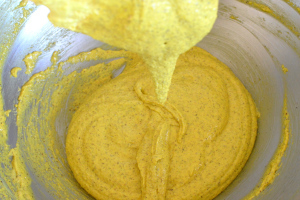 The dough is very fluid-like at this stage, just keep kneading until the dough comes together, increase to medium speed. Throw in the soften butter and continue kneading until well incorporated. Continue kneading the sticky dough into smooth dough which dough pulls cleanly from the sides of the bowl, it might takes 25 minutes. 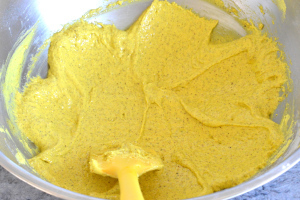 Once kneaded , remove from mixing bowl and transfer to any container which lightly grease with cooking oil. 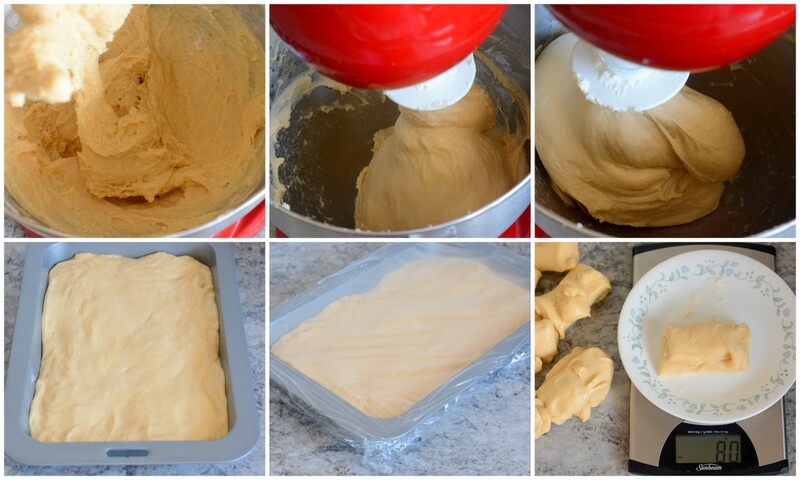 Lightly press and distribute the dough evenly to the container. Cover with cling wrap and allow to rest in the refrigerator for 1- 2 hours until the dough is cold or overnight. Once the dough is cold, the dough should not be sticky but firmer. 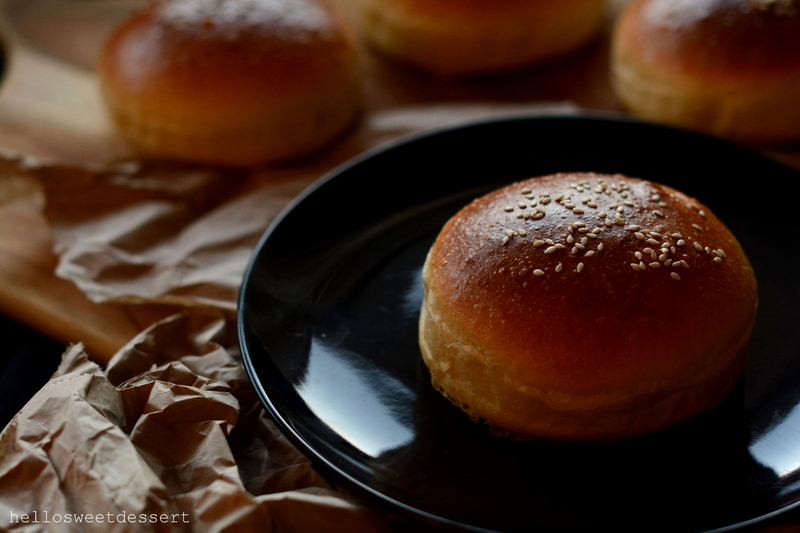 There burger bun dough is pretty soft, and it cannot remain the shape after proofing and baking. Therefore,to avoid this and to keep the buns round as burger shape, it is advisable to bake in ring molds.If you have these exact ring molds, feel free to use it. 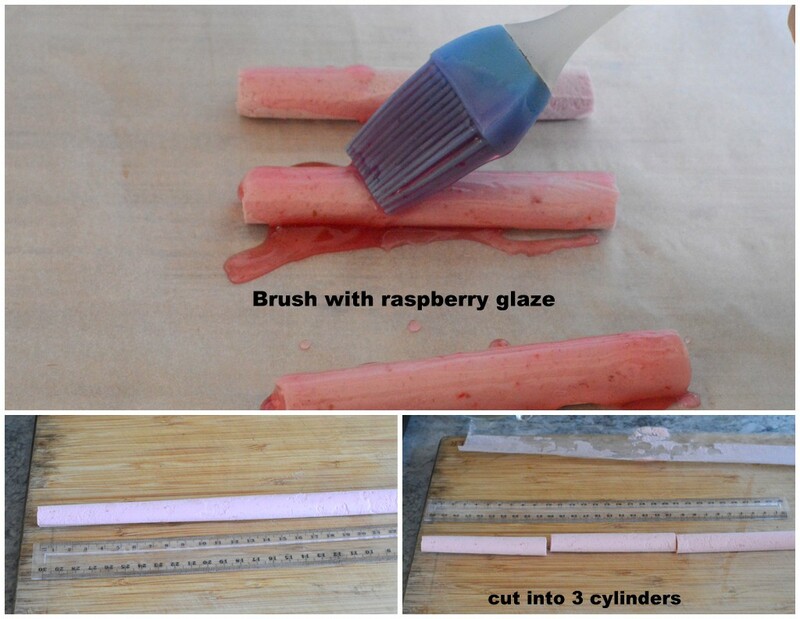 Otherwise, here is how to make our DIY ring molds with few tools. 1)Get a piece of used A4 size paper,fold in 36cm length x 1 cm width on the longest side of the paper 3 times to get a strip. 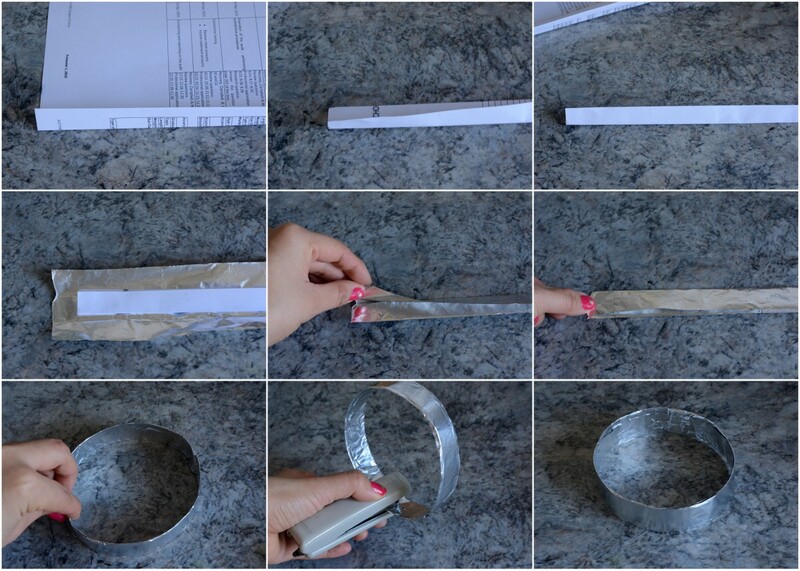 2)Then place into a slightly bigger rectangular aluminium foil and make 3 foldings to make a long strip. 3)Make a diameter of 10cm ring from the strip by joining 2 ends together, then staple it down.Repeat this for 9 more ring molds. 8. 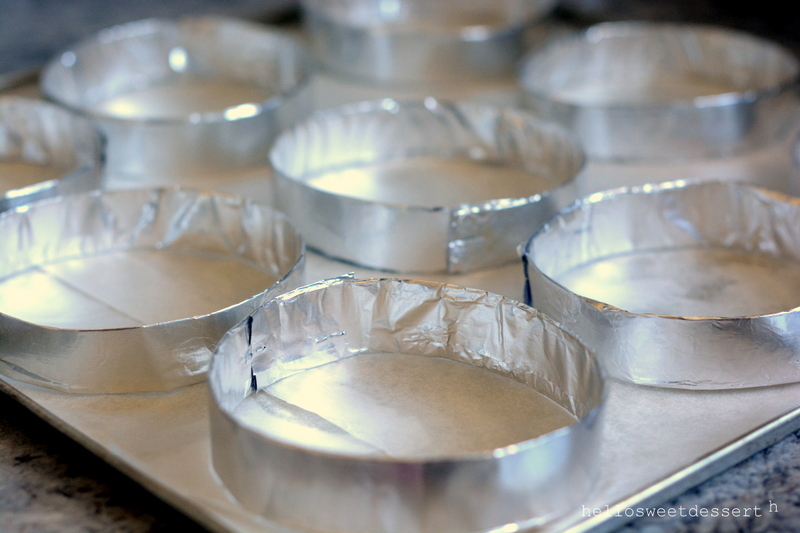 Line baking paper on tray, and place in all the ring molds.Lightly spray some cooking oil around the ring molds. 9. Divide dough into 10 balls(roughly 80g per portion) by cutting out with scissors or using a scraper to cut the dough for much easier task, then roll into round and smooth balls. 10. 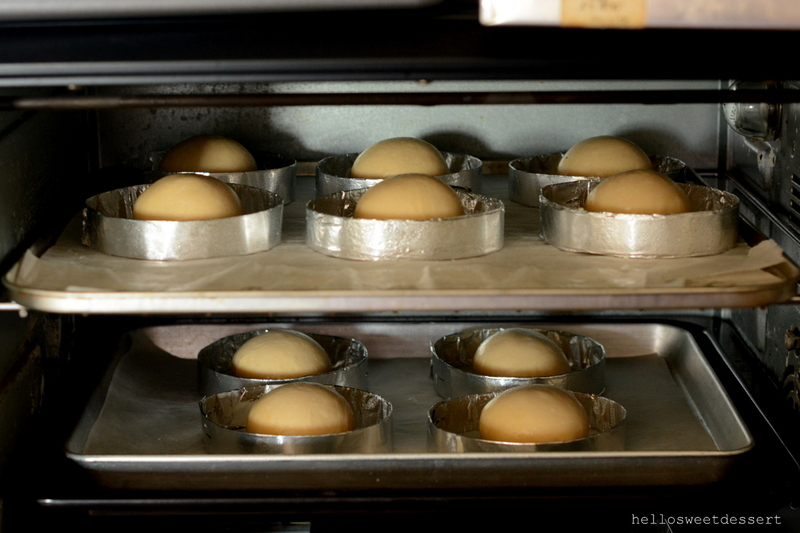 Once all buns are formed, transfer quickly to the prepared pan , placing each bun in the center of each ring molds. 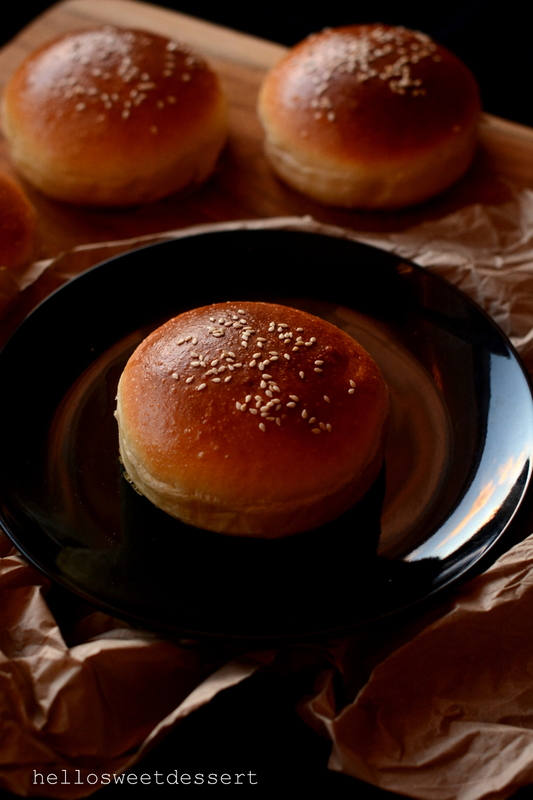 Keep everything loosely covered with damp towel.Lightly flatten the buns into burger bun shapes. 11. Allow the buns to proof in a warm room(I did this in my oven, roughly 25C) to double in size for about 2 hours. 12. Before baking, prepare the egg wash.Brush the egg wash onto each buns nicely, then sprinkle with some white and black sesame seeds. 13. 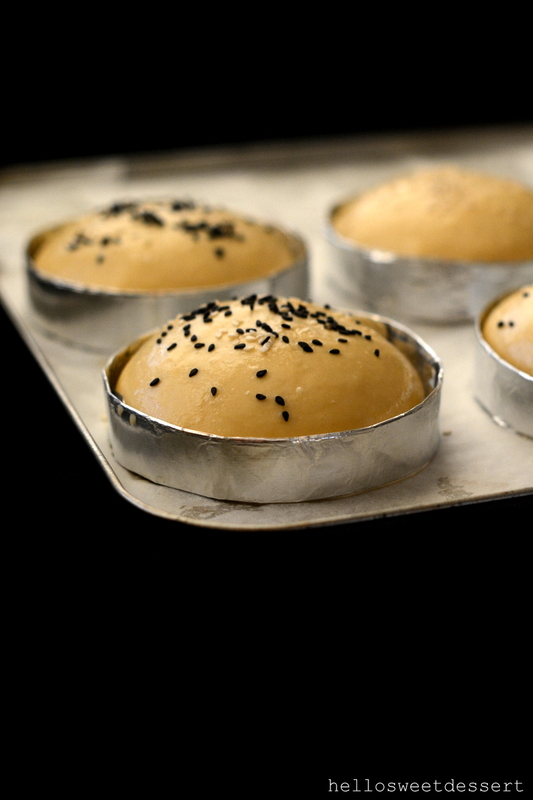 Bake the buns at preheated oven of 175C for 15-18 minutes , depending on individual oven. 14. Once brioche is done or reach golden brown colour, transfer the tray of brioche out of the oven to a cooling rack. Allow to cool down completely before remove from the ring molds to retain the shape. 15. You can serve fresh brioche with just butter and jam, or with any fillings you like. 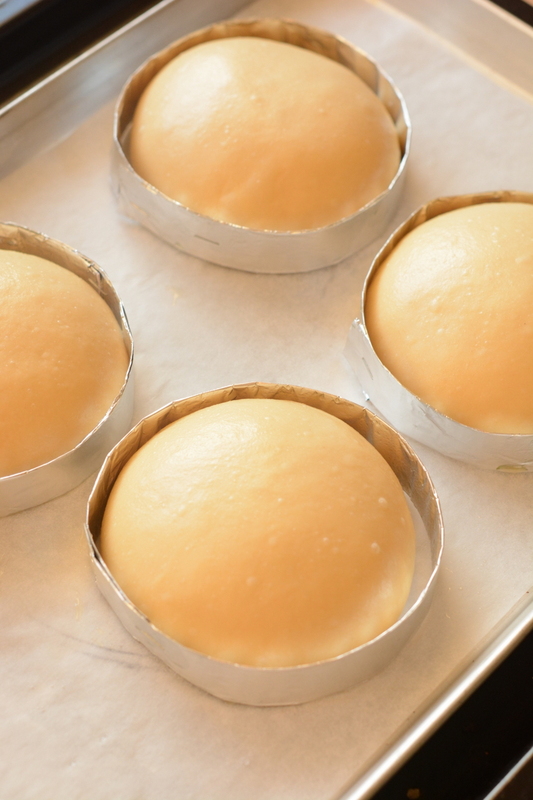 Once all buns are formed, burst any air bubbles that have formed. Spray lightly with oil and flatten them slightly to make a burger bun shape. For better results: To increase the humidity of the oven especially during cold weather,you can place a pan of hot water under the trays of brioche dough when first put into the oven, allow the buns to expand to fill up the ring molds , then remove the water from oven to finish off the baking. You can store brioche in a container for 2 days at room temperature,some said it can turn the brioche bun to a softer texture.You can store the baked brioche in freezer too up to 1 month.Bring the frozen buns to room temperature if needed and pan fry with some oil for crispy bun or without oil at all. These buttery brioche can be served cold too as cold sandwich. Thanks for your visit and comment and deeply appreciated. 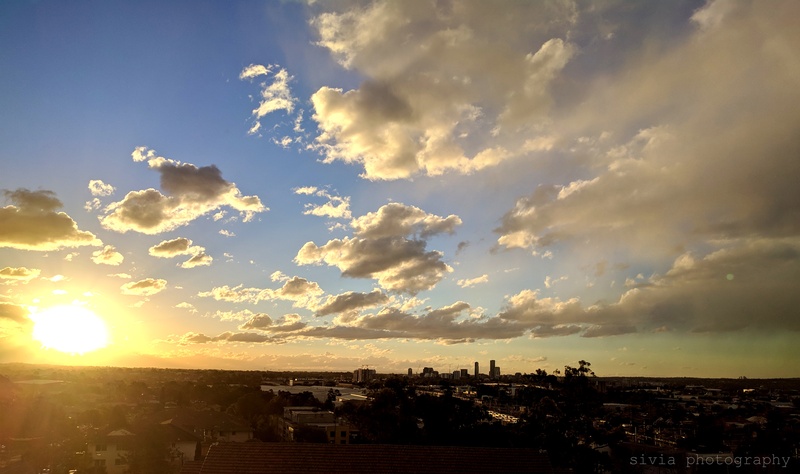 It has been awhile, so long I don’t even remember how to blog. Too much things are going on in my life, looking after my health, consult doctors for my health issues, and identified one of my health issues, then packed all our belongings to move to our new place. “Fxxx, the pain is not a bit, Dr, have you seen the needle yourself?You made a hole in my feet, then injected another needle into the same hole you made, and pushed deep into my plantar fascia about 10cm, and released the steroid slowly and enough to make me tearing up and you called it abit of pain?”,I thought to myself. This injection last me 3 months top, for one feet.Then i have to return to his injection room for another round. Seeing him for a year now, not only he diagnosed me with “FIBROMYALGIA” which with no medications but he said the pain all over my body is control by my brain, basically one word he tried to say, my mental is causing my body pain, could be trauma or past injuries causing this chronic pain. Treated by him for a year, all he did was giving me Anti-depressant that make me stay awake at night.God knows, I didn’t follow and take any of those anti-depressant. Any ideas how I go through with the chronic pain? Either I prescribed with strong dose of pain killer called”MOBIC”, this medication is good for stopping the pain, meantime good at screwing up my kidney and liver, and then I advised to run some few blood tests to check both my organs are functioning well. Since being a vegetarian, my blood test proved them wrong, and I am perfectly healthy.According to the test results, my organs so far are functioning well, and this given the Dr Ho another Bullsxxx to tell me:”It is all in your mind, there is no medication, take the anti-depressant, take the anti-depressant, take the anti-depressant…..” It is like a nightmare lullaby to me. Honestly, Dr Ho has PhD, that is why he is a doctor. I am freaking furious at this statement and came along with his face expressions.One word”FAKE”. “Have you try acupuncture?,Dr asked me. Can you believe a psycho doctor with PhD and with his statement came out from his PhD mouth”?I wondered how many patient like me has to go through brain washed session by him. Then my one year constant appointment with his steroid injections for both feets and my shoulders pain, and my back pain. Came along with all the strongest mobic and pain killer and medication for seizure which also prescribed by him because it is good for relaxing my nerve, according to him, my nerves are being overly sensitive. My one year treatment by my GP,different chiropractors, then Dr Ho the pain specialist with strong pain killer, seizure medications,popping all these pills are my daily routine to control my pain. If I do not consume?I barely came down from my bed, barely stand nor walk,my body aches or migraines are 24/7 constant .No camera, no blogging , no baking , no nothing for anything related to my hands and legs. Was it a torture? Yes in the beginning and now I am getting use to this pain. Family worried for my pain.The steroid injections not only carry more fat on my body, the medications are not solving the root problems, so I flew back to hometown to seek a better treatment with this amazing chiropractor who recommended by my sisters. Met her first day, she saw my standing posture, she instantly identify my pain.Knock knee is the main root of problems for all my pain, then tag along with Achilles tendon, plantar fasciitis that caused by knock knee. Knock knee patient like me basically our legs are not straight, is a condition in which the knees angle in and touch each other when the legs are straightened. Individuals with severe valgus deformities are typically unable to touch their feet together while simultaneously straightening the legs. I was born with this since I could remember, i barely learn to walk until quite old.My grandmother had it and she barely walk during her old age, she used wheelchair since I recalled. Mum was shocked by what the chiro told. This amazing chiro told me that I should have repair my legs since I was young, but nobody noticed and cared for my problems .They thought I was normal. Doctor said either I should have knee surgeries or receive her treatment. I don’t want any surgeries, slicing my legs and insert some steel and stitching back my knees are my night mares and recuperation process varies on different individuals, it could take years. During the 4 days with her, she diagnosed me with crooked back bones, shoulders pain and my hips are abnormal due to my neglected knock knees issue. She said that I was her first patient with multiple problems that she has never seen, she wished could put me into laboratory and show to all her doctors friends. She was amazing to repair my pain severity ,from 110% to left like 80 percent of pain all over my body just in 4 days. She said this problems I have only can heal for 50 percent with her treatments,but I am willing to take the twisting and bending by her bare hands than surgeries.I don’t want to be cut open and stitch back.She taught me some legs stretch which helping me without seeing the unprofessional Dr Ho. Told this chiro about Dr Ho’s all kind of medications and treatments that he gave me . Her reply was: “Doctors that are lazy will diagnose patient with FIBROMYLGIA because this doctor just plain lazy to treat you but shhhh patient away with the pain killers “. My conclusion is, I am born with knock knee with crooked back bone and tag along with alot of others pain, I am not suppose to run or squat, or do certain exercises.And definitely do not require any injections or anti-depressant. So, whoever is reading this with friends with pain, please make sure get a good doctor that trust you instead of keeping you quiet with some pain killers and anti-depressant. Not all Australian doctors are good, not all doctors are being professional with their duty. Doctors nowadays only believe in short cuts with some medications that does not cure but only give side effects. Wasn’t for me seeing this hometown female chiro, I might have still popping pain killer or anti-depressant every single day. I told my husband that I find Doctors in Australia are unprofessional and stubborn and never listen to patient at all , and never believe in any diet. They basically did not take time to diagnose you, but simply let you tell them what is going on your body, and they give you some pain killers and push you away. Ladies and gentlemen, love your body, if you don’t trust some advice from some labeled doctors, always follow your intuitions and seek the right help. Not all doctors nowadays can put you out of misery. 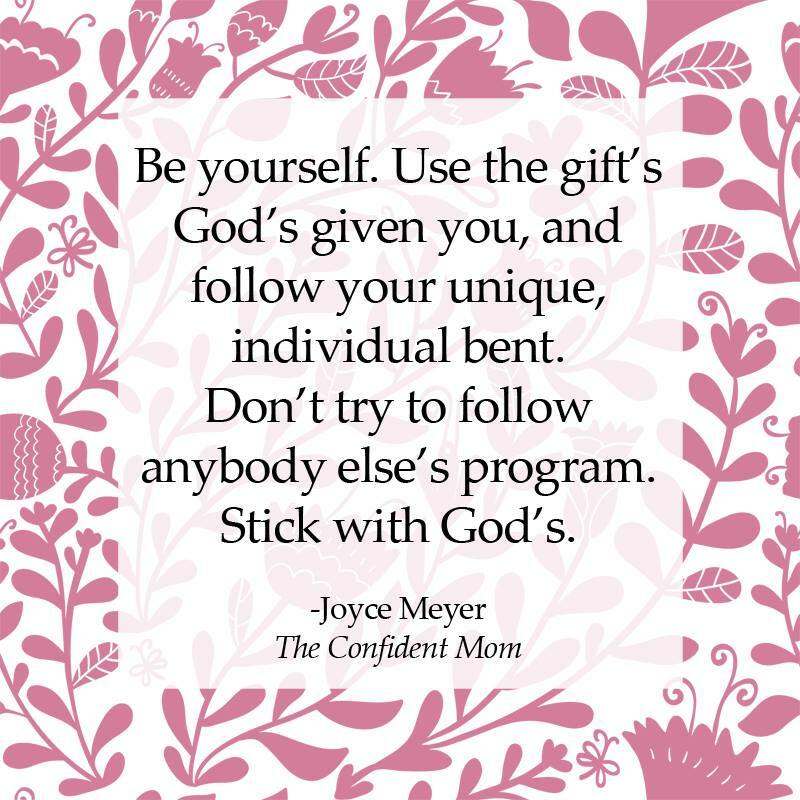 There are times that your family so tired of you moaning for pain every single day, and think anti-depressant could save you, but, stop right there.Nobody understands your pain more than yourself. I can’t believe that I googled so much to self-seeking my pain before even see doctors in Australia.Even so, don’t you give in with medications,not all medications are working fine with your pain in long run, there is always some nasty side effects, run some blood test if you are undertaking some nasty medication for your own adjustment. Try healthy diet, cut down unhealthy stuffs from your body.If your years of diet causing you ill, then try alternative options with foods. No harm in trying healthy options by being vegetarian or vegan or no processed food. Your body will tell you what works best, as long as you have determination to give up long years of torture.The torture of food in your body , that you might unnoticed , You could be stubbornly think that it is doing nothing bad to your health because your great grand parents and parents brought you up with those amazing food. But your great grand parents are walking and working their body muscle more than we are sitting right now in front of the computers, not only that, the food chains are not being disturbed back then, the water they consumed are not polluted like now. Anyway time flies, things changed, DNA in your food chains has changed, so do what you can to save your body from being self torture, or tortured by your doctors. Months of not talking, but things like this bound to be said by me , and it is in my blog. I am blessed that I do not need to pop in pain killers like eating rice. But I am still looking after my health, I am blessed that I changed my diet, therefore I no longer bake dairy food as often as before. To those really read my long due article , thank you for being so patience with me and supportive. 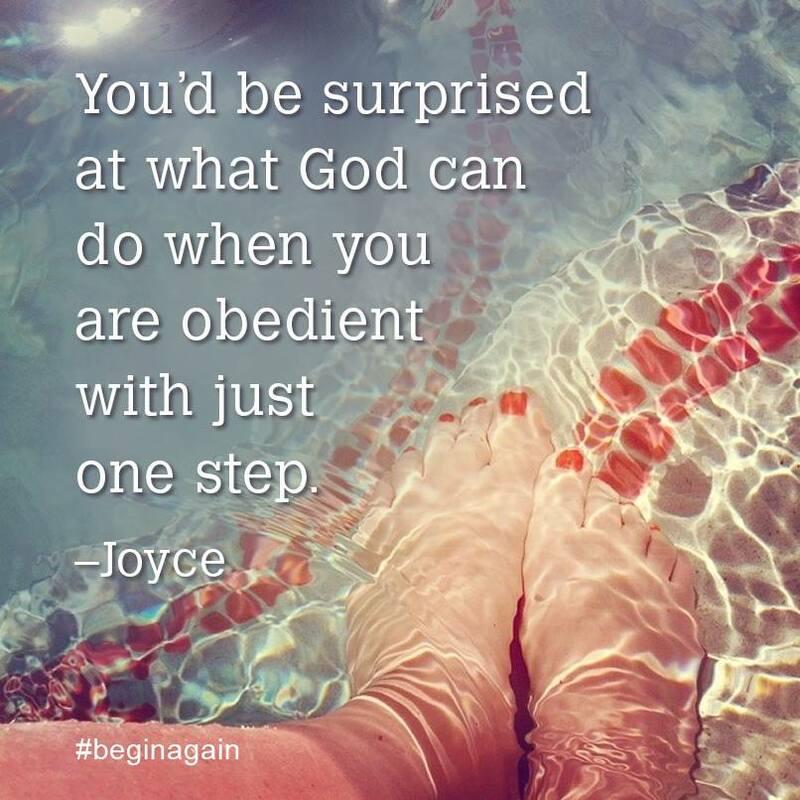 I am blessed that I am alive and able to blog after a year long. Thank you for visiting my blog. I will not be active like few years back, not even in facebook anymore. I want to focus on resting my hands from being numb and pain from typing. Forgive me. Thank you for listening my long winded article of my updates. 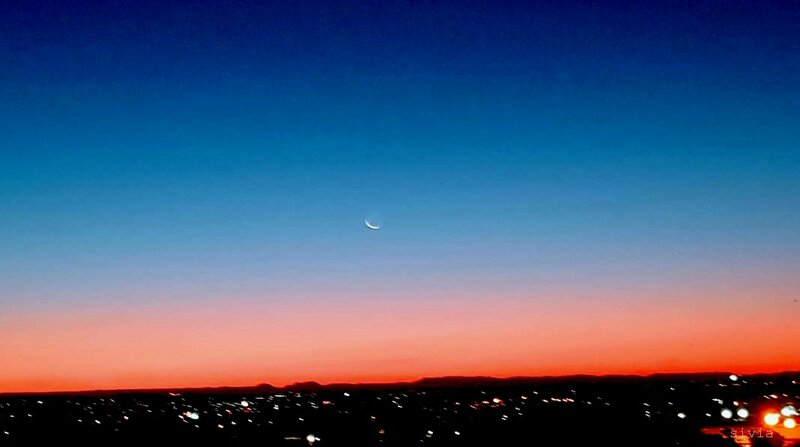 This is taken in one of the sunset ,in winter with my handphone from by balcony view. It has been long for posting my recipe, since I got my viral flu from my husband, and unfortunately sick for more than month and I still have not recovering from my coughing.Why the virus has been so strong in Sydney?Why the doctor insisting not prescribing any medicine:”I am sorry, there is nothing we can do for the viral flu.”Both of us were told by the doctor. 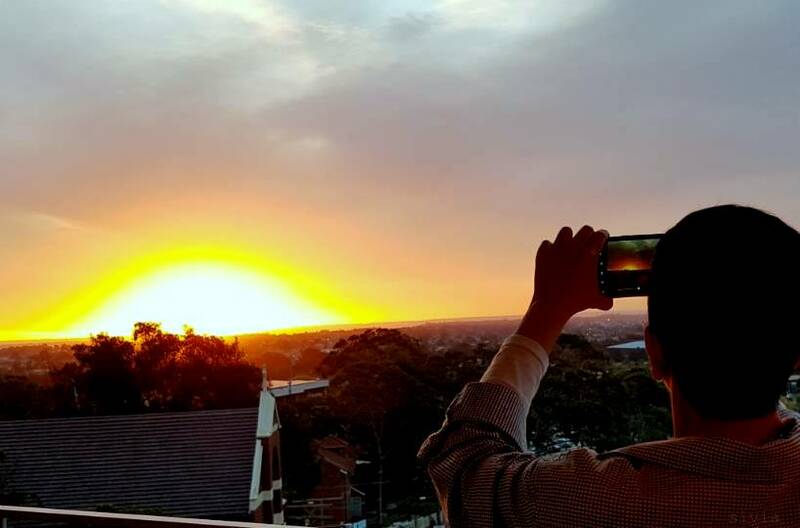 Every night all I did is coughing , lack of sleep, how am I going to heal my dear doctor in Sydney? 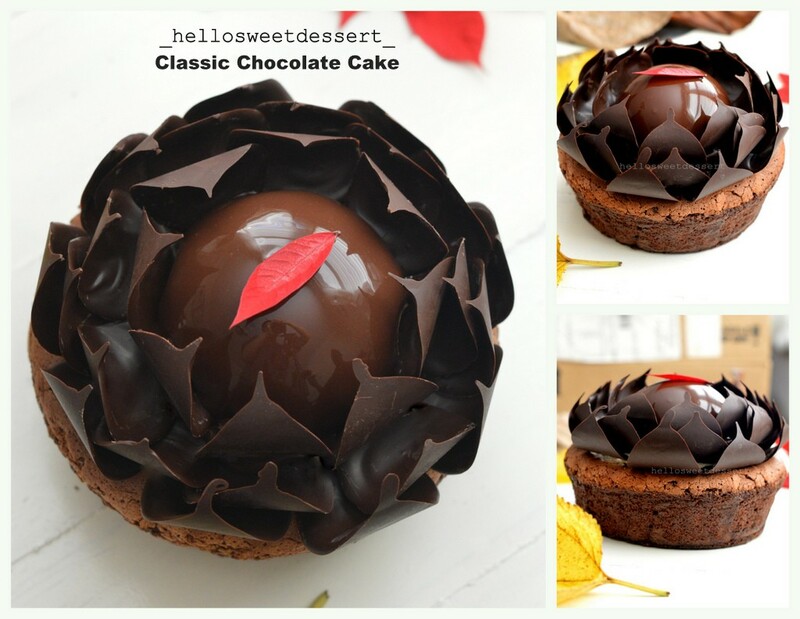 The only thing is to make my body immune to any sickness…Healthy food, and healthy lifestyle, plenty of sleep and no dessert for a while.Sorry my dear blog. 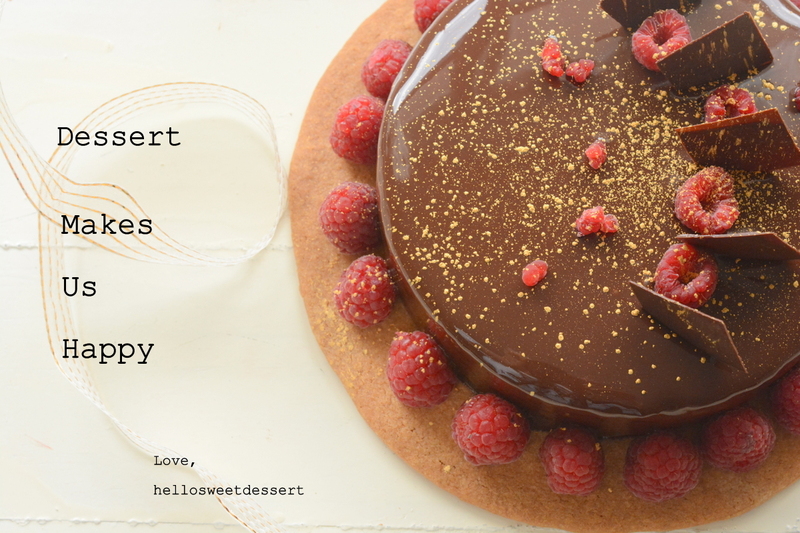 Enjoy baking,dear folks! Not sure how long I can bla bla bla here so much. Going to miss you guys. 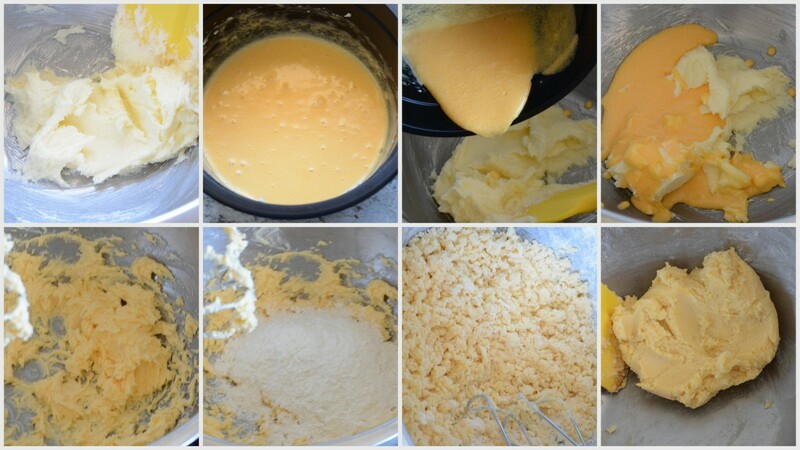 c)Add in to beaten egg yolks slowly and keep whisking fast until slightly pale or ribbon stage like picture shown.This is called pate a bombe. 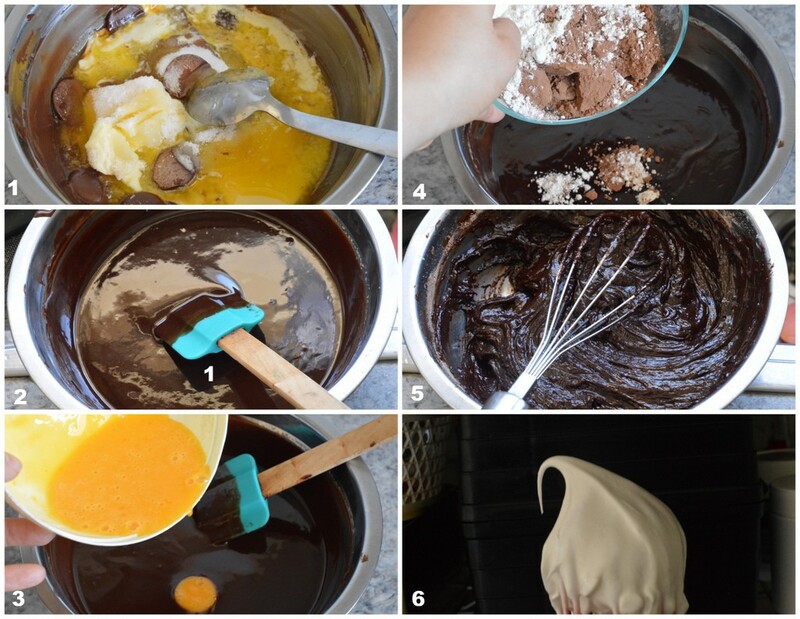 [Picture 6].Continue to beat the mixture until it is cool. 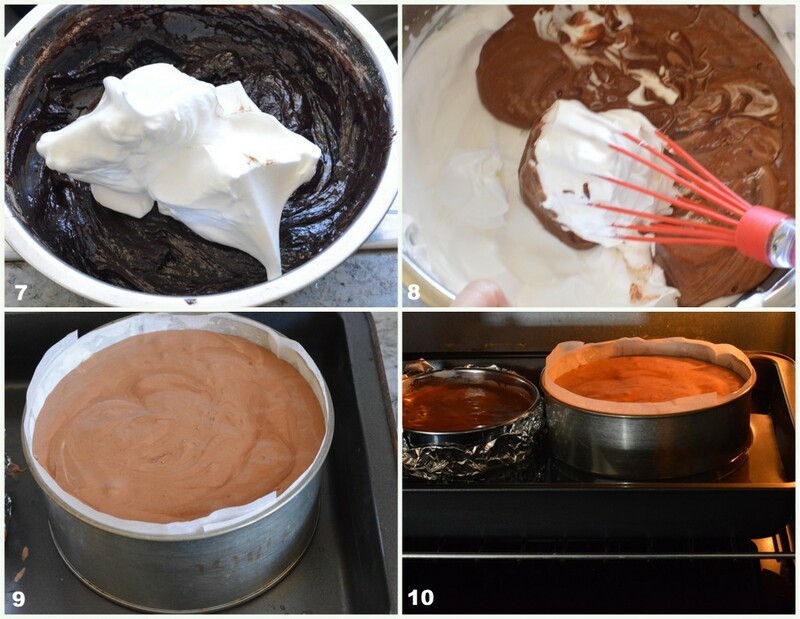 3)Beat cream in a mixing bowl till soft peaks formed[picture 7]. 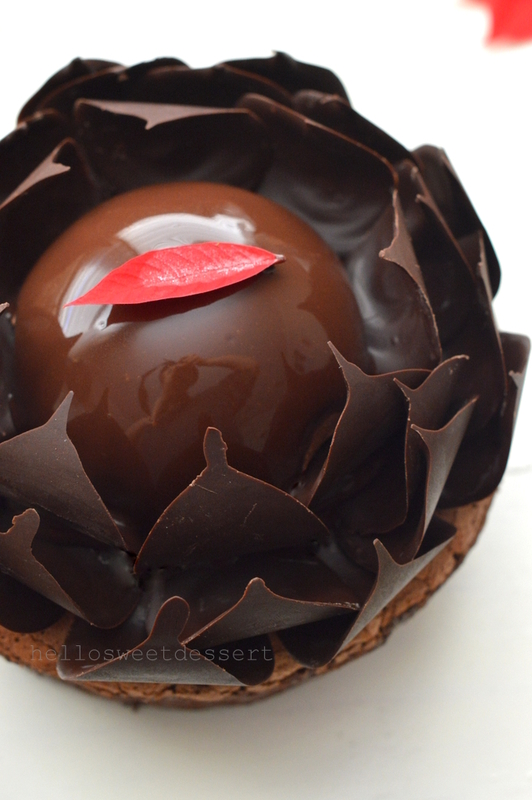 4)Fold in whipped cream into pate a bombe(a)[picture 8]. 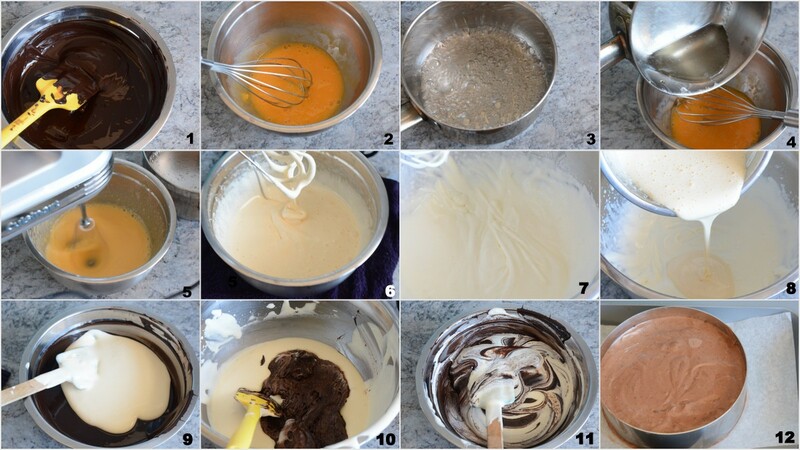 5)Fold 1/3 of cream mixture into melted chocolate from step (1). 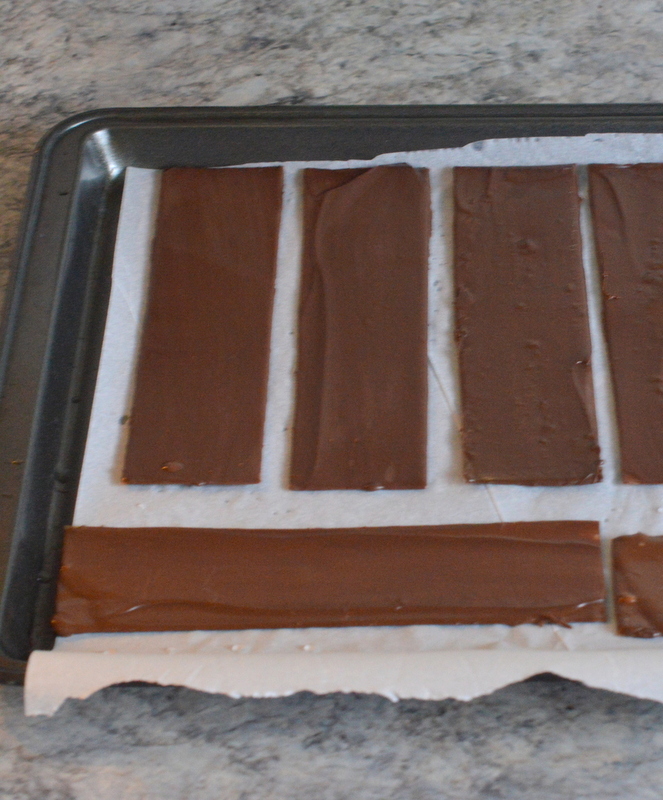 (It will slightly turned thick a little).Fold in remaining cream mixture into chocolate mixture. 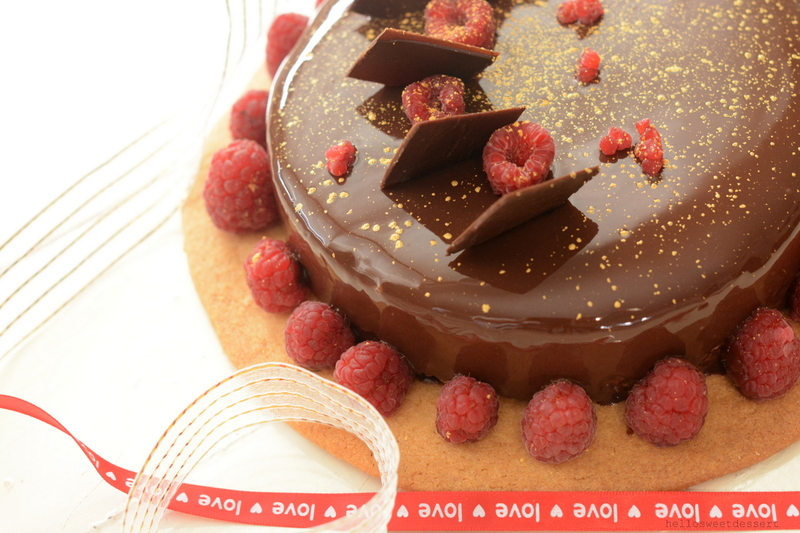 6)Pour the mousse into a prepared 6″ round cake ring sitting under a tray lined with parchment paper.Allow to freeze for 4 hours or overnight. Ensure to pour in the sugar syrup slowly into beaten egg, otherwise pouring too fast of hot sugar syrup will curdle the beaten egg. 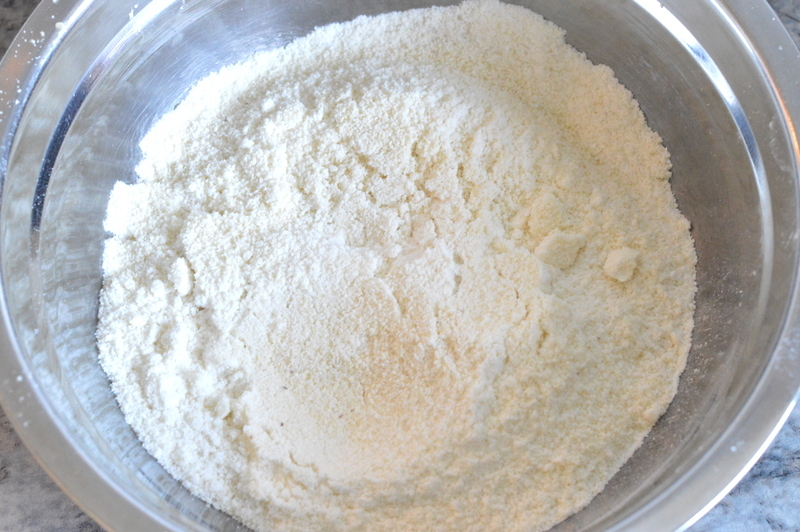 1)Sift together flour, baking powder and salt. 2)Beat the butter until soft and creamy. 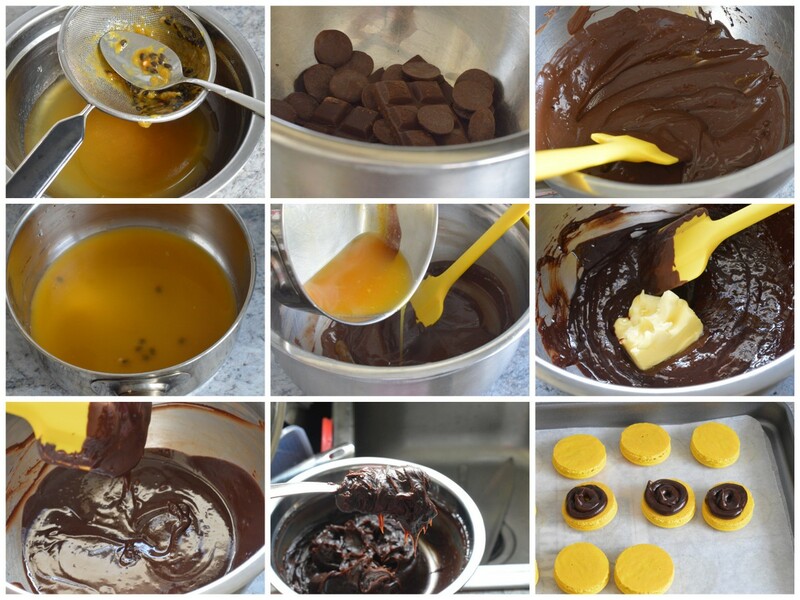 3)Beat egg yolks and sugar in another bowl, beat till light in colour. 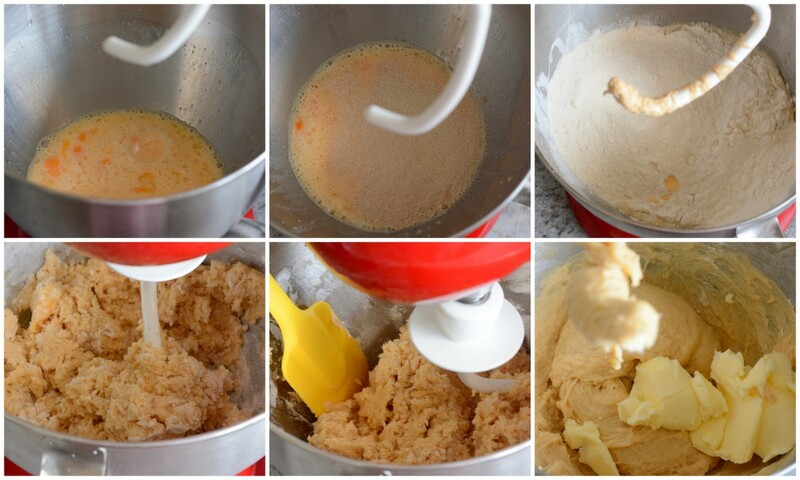 4)Add in softened butter into egg mixture, and mix to well combined. 5)Fold in the sifted flours. 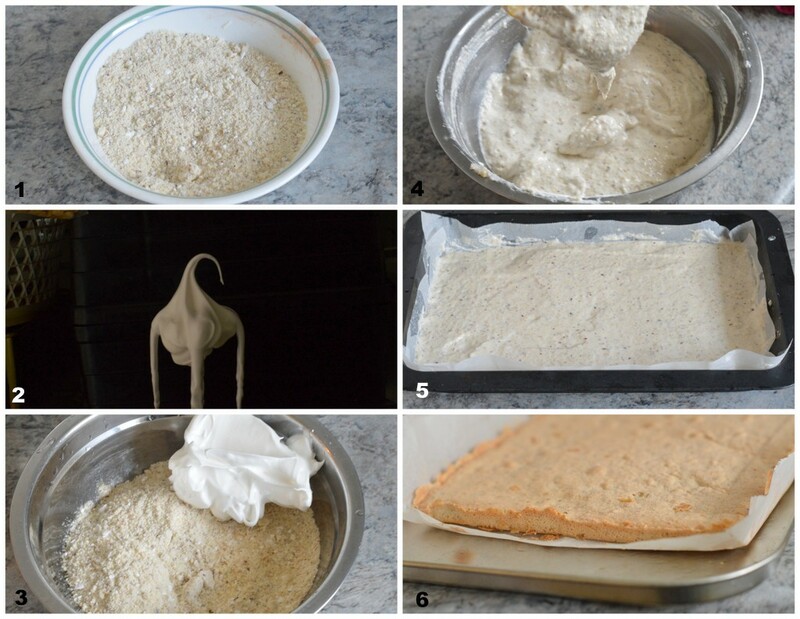 6)Mix into forming a dough. 7)Lightly press the dough between 2 sheets of parchment paper.Allow to rest in refrigerator for an hour. 8)Transfer the dough the work bench, roll the dough into roughly 8mm in thickness. Cut into a 8” diameter round disc. 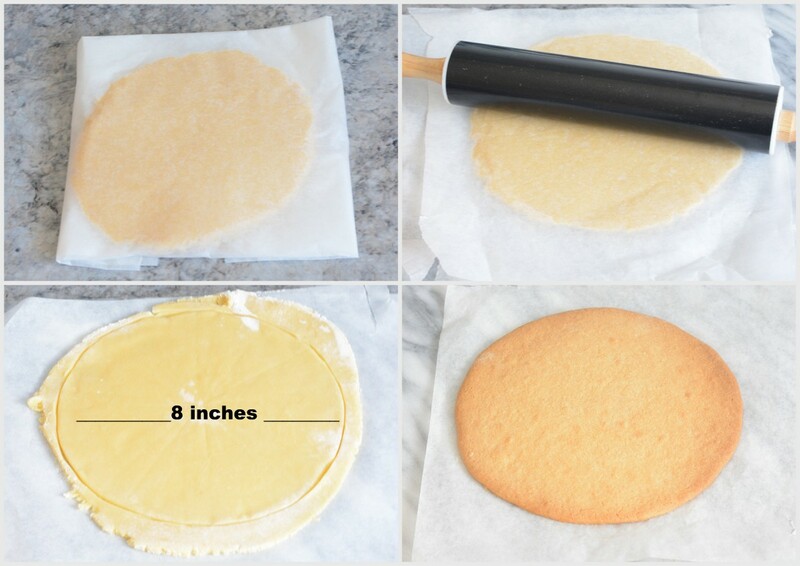 9)Place the pastry on a baking tray lined with parchment paper. 10)Bake in a preheated oven of 180C for 25 minutes until golden brown. 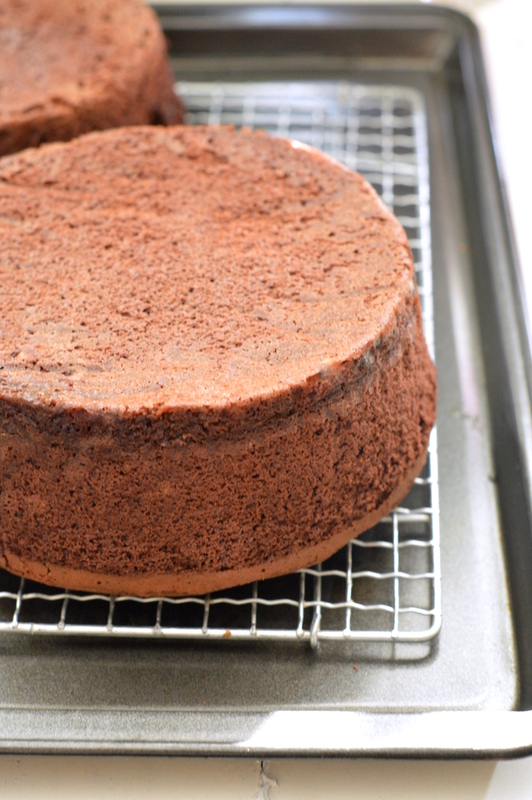 Transfer to a cooling rack once baked, allow to cool completely. Lightly dust some flour between the 2 sheets parchment paper before roll the dough to desire thickness to prevent stickiness. Do not over roll or work the dough otherwise it might cause shrinkage during baking in oven. You can allow the dough to rest in the fridge for about 15 minutes again before bake if the dough becomes sticky due to hot weather. 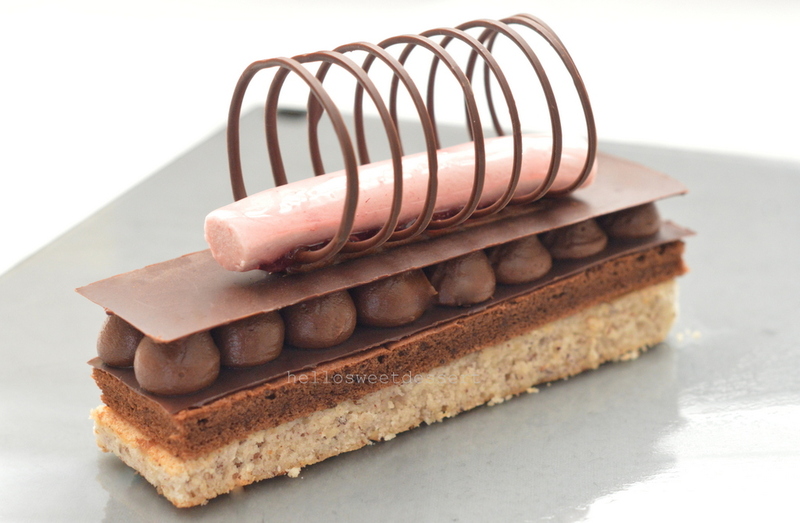 This pastry should be used the same day as it is made, or can be frozen for up to a month after wrapped properly. 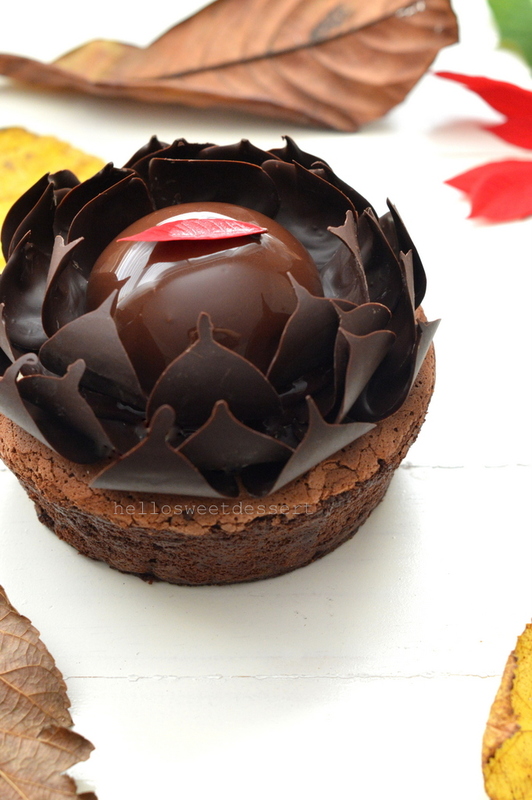 This pastry is enriched by using egg yolks and flavoured with some salt. 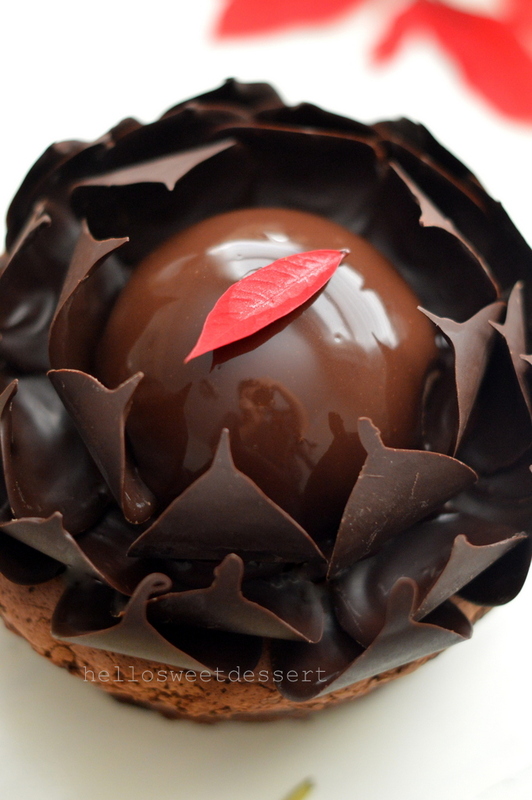 The pastry is definitely rich, buttery and crispy. It is from France and famous for the addition of salt. 1)Bloom gelatin in ice cold water till softened.Squeeze to remove excess water when use. 2)Bring water and sugar to just boil , immediately reduce to low heat to simmer for 2-3 minutes. 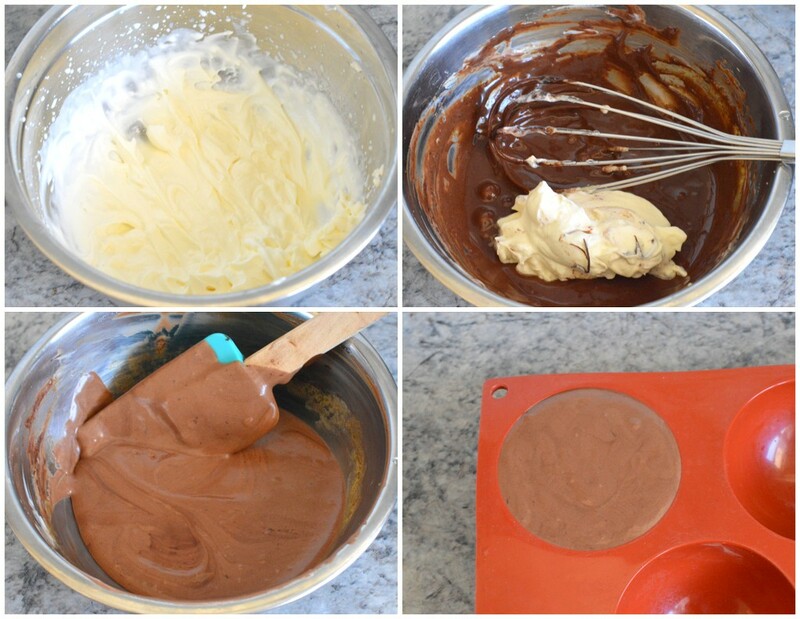 3)Add in cocoa powder and cream. 4)Bring it back to boil and simmer for 4-5 minutes on low heat. 5)Remove from heat, add in softened gelatin(Same goes to the gelatin powder if using powder instead).Stir until dissolved. 6)Strain, Leave to cool to 25C. You can store in an airtight container in fridge and use in 4 days. 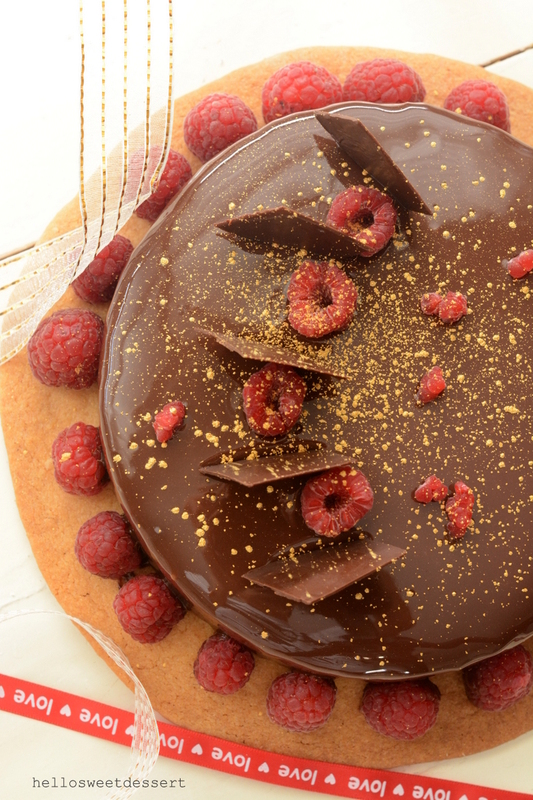 1)Remove the mousse from freezer, lightly torch around the cake ring for few seconds. 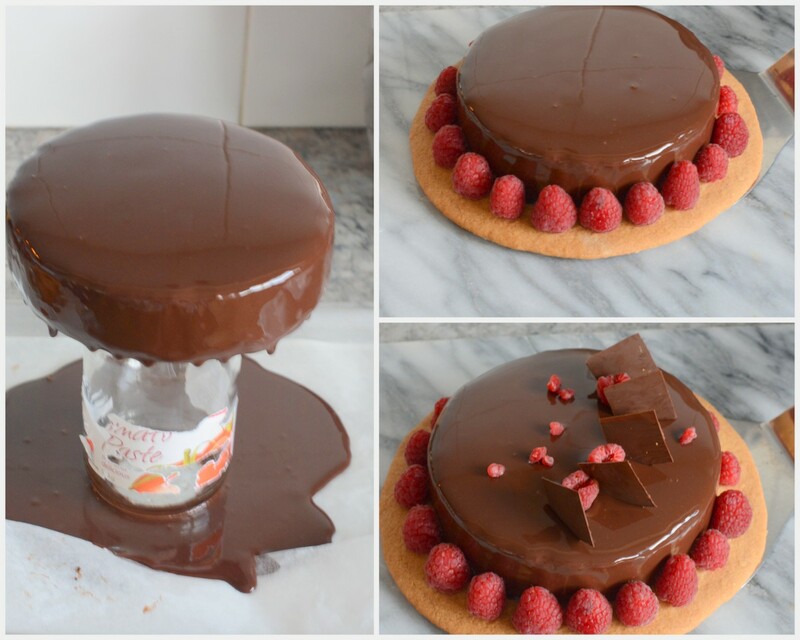 Remove the mousse from ring. 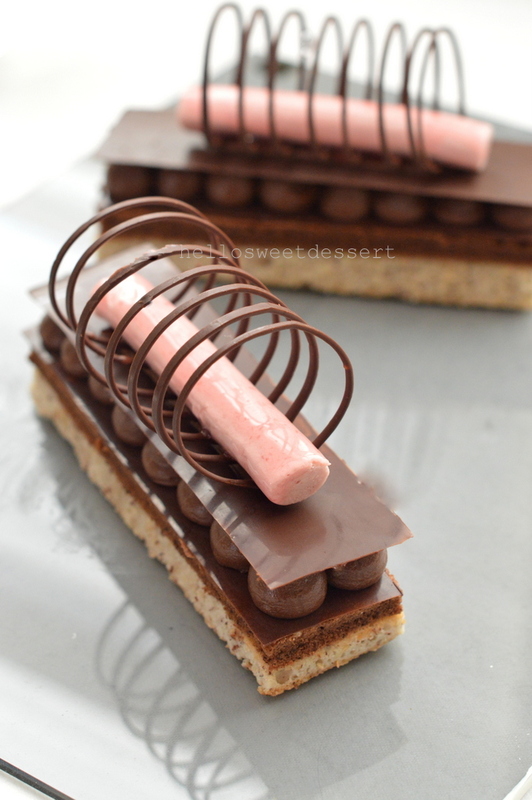 2)Place mousse back to freezer for 15 minutes. 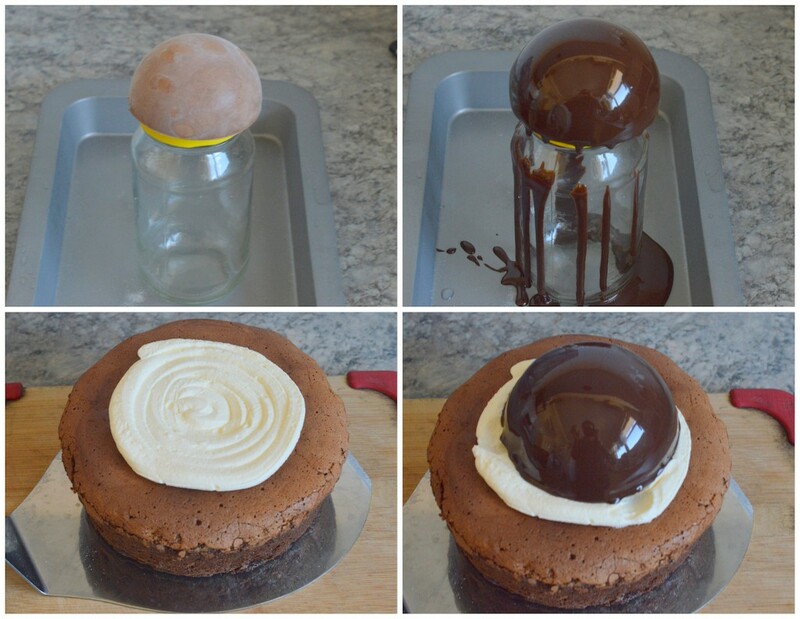 3)Pour the chocolate glaze over the harden chocolate mousse.Allow to drip excess. 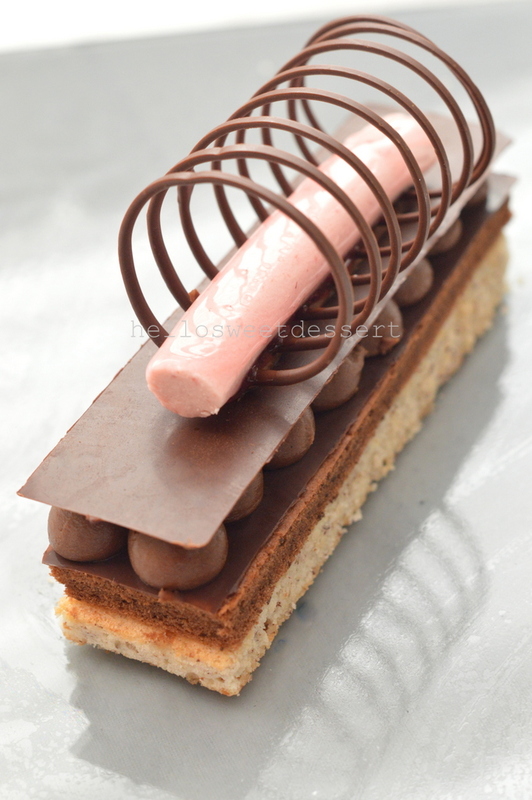 4)Transfer to the cooled sable breton(Pastry disc). 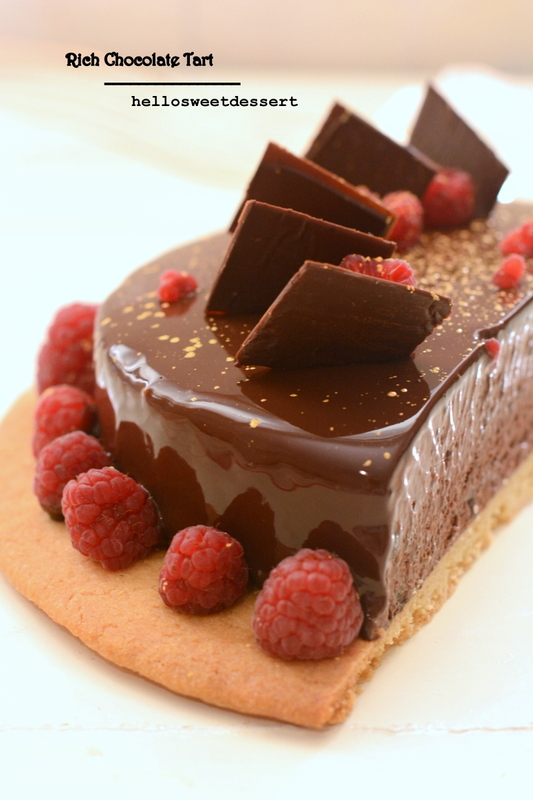 5)Decorate fresh raspberries around the mousse, and place some chocolate square piece on the top, more raspberries. Dust with some edible gold powder. 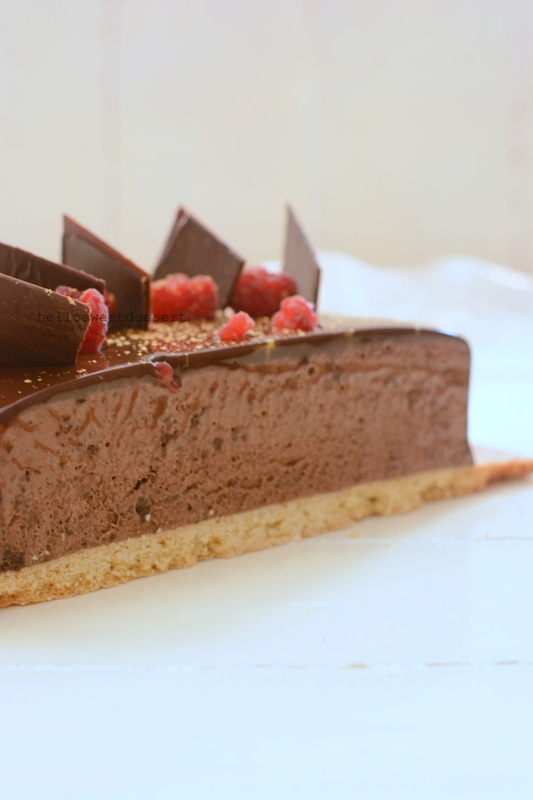 6)Allow the mousse tart to bring back to edible temperature in refrigerator for 30 minutes before serve.Enjoy this rich, chocolaty and buttery tart. 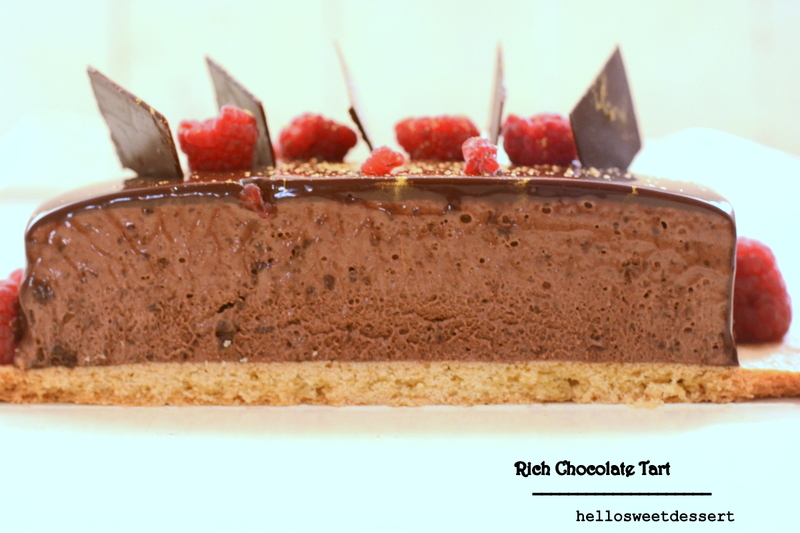 Hope you enjoy this alternative of rich chocolate tart, it is so rich and melt into your mouth. Hope you like this sharing.